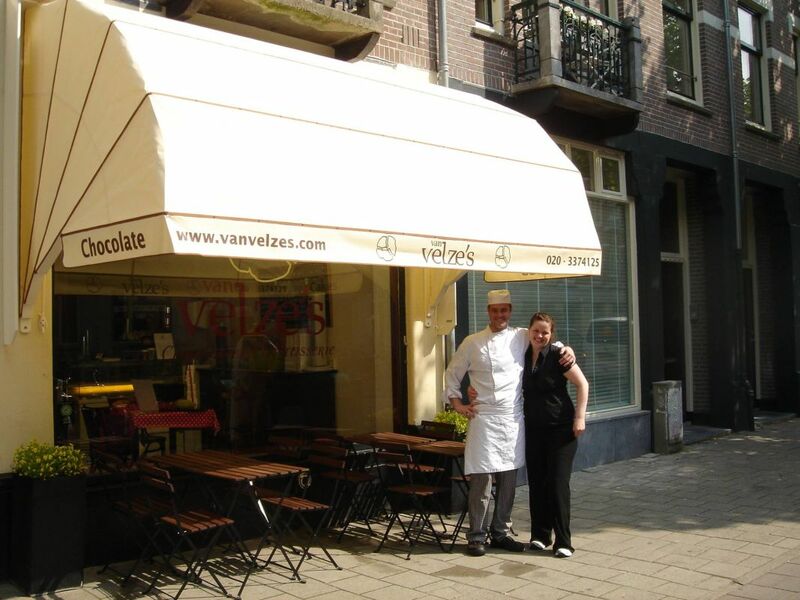 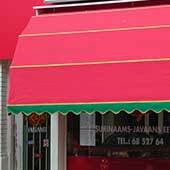 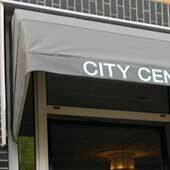 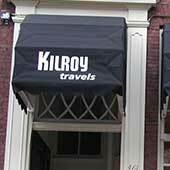 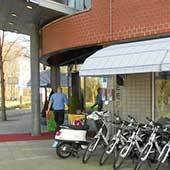 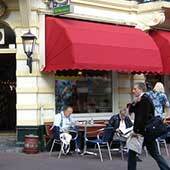 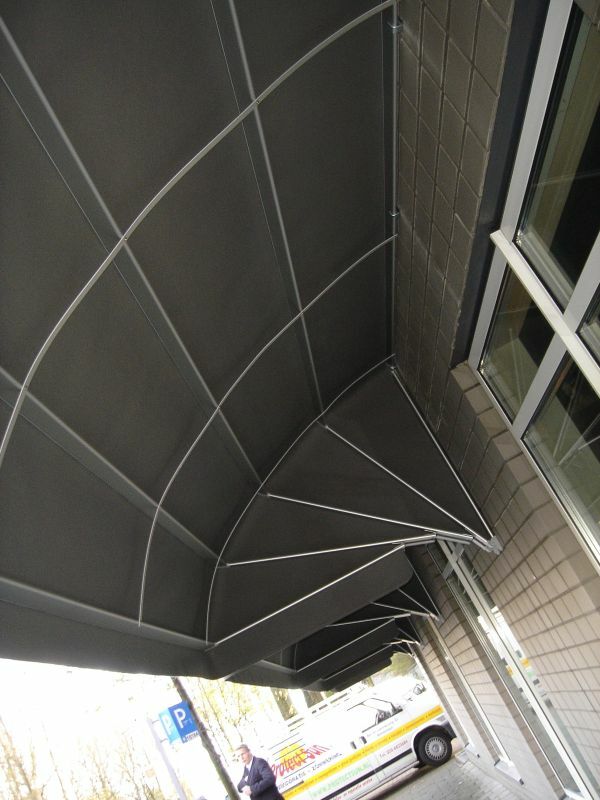 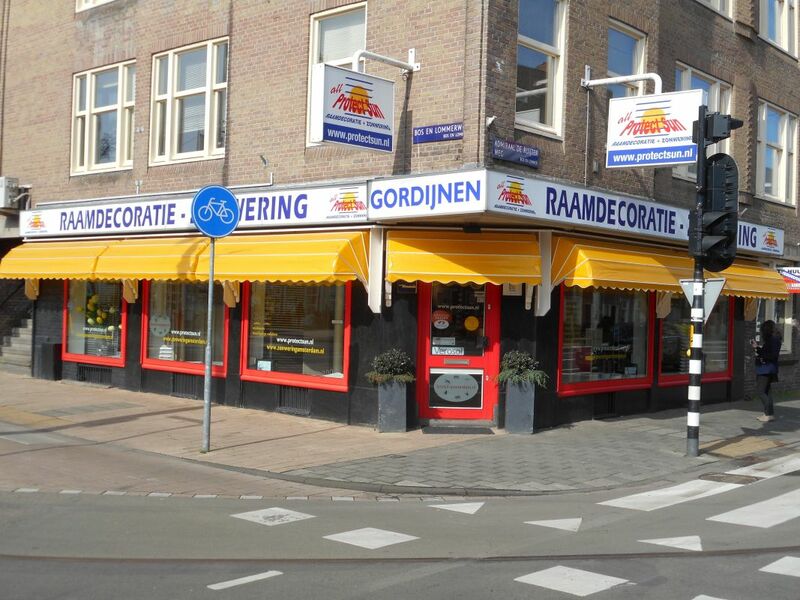 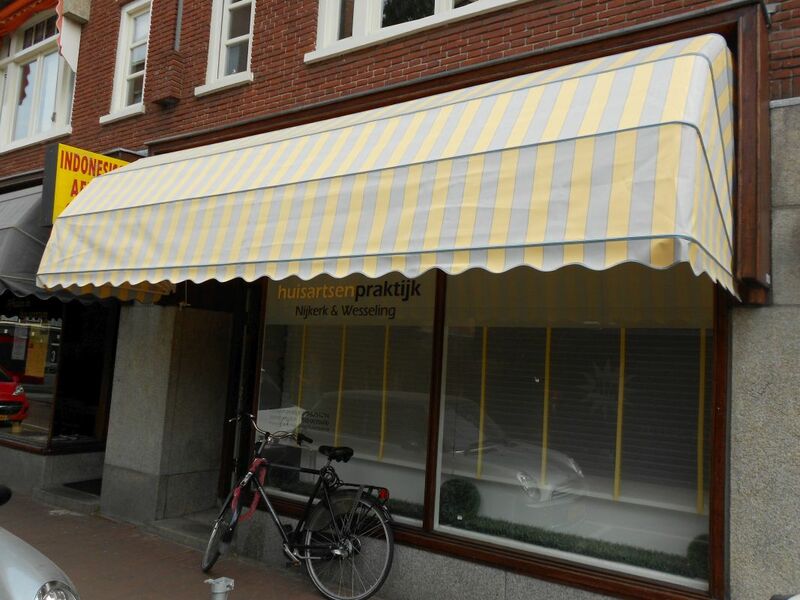 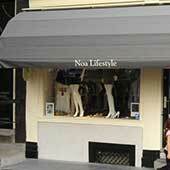 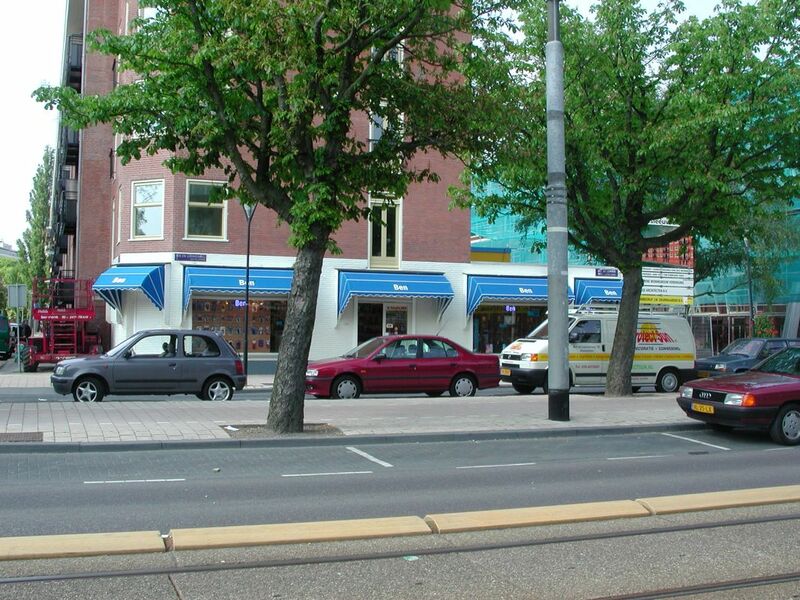 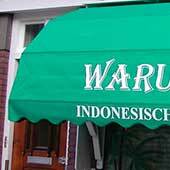 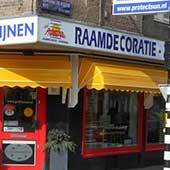 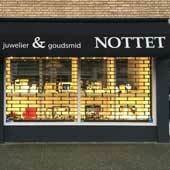 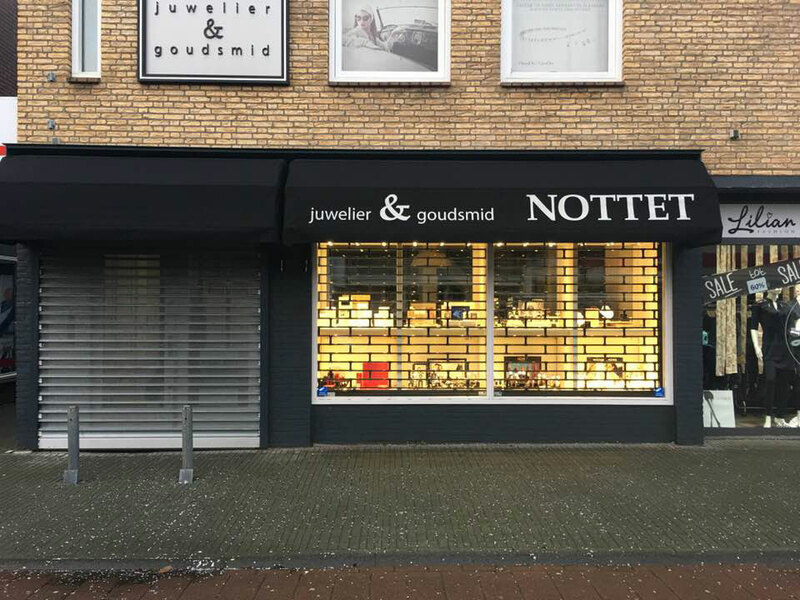 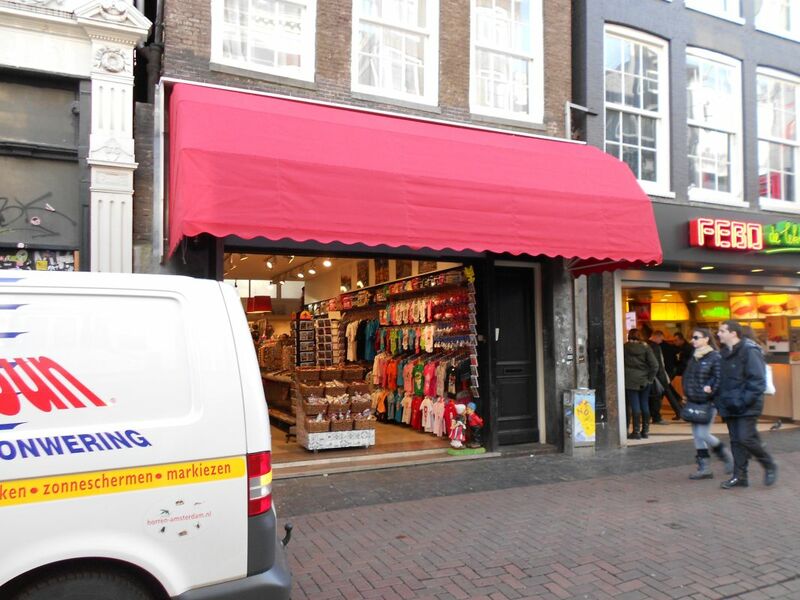 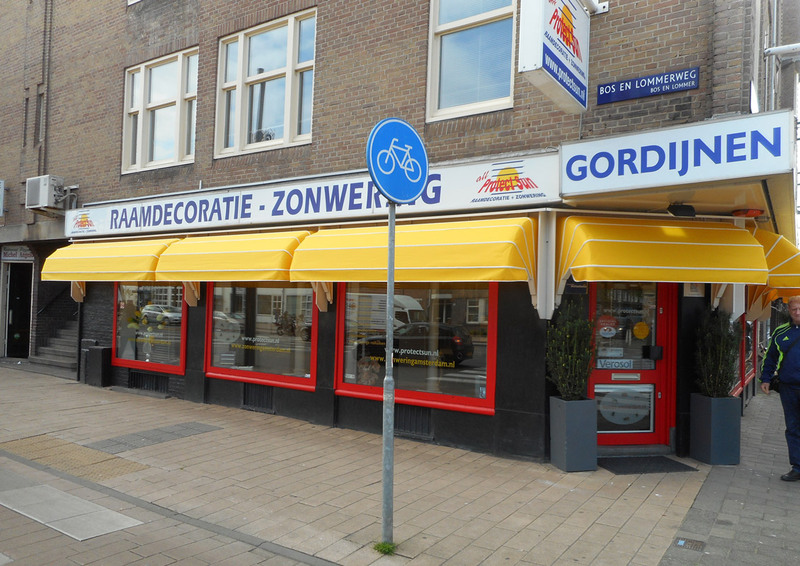 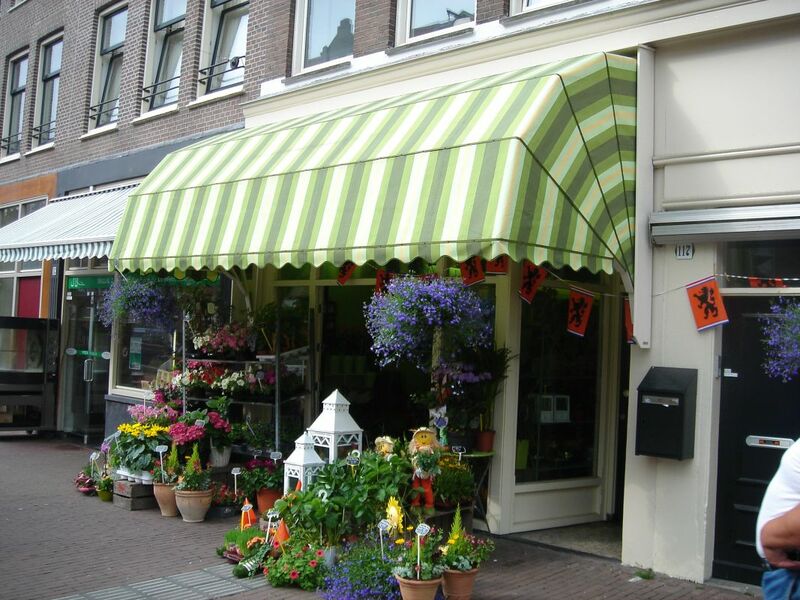 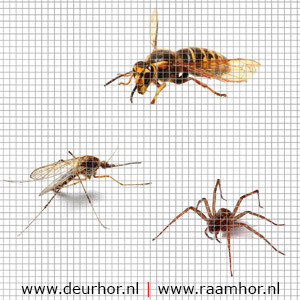 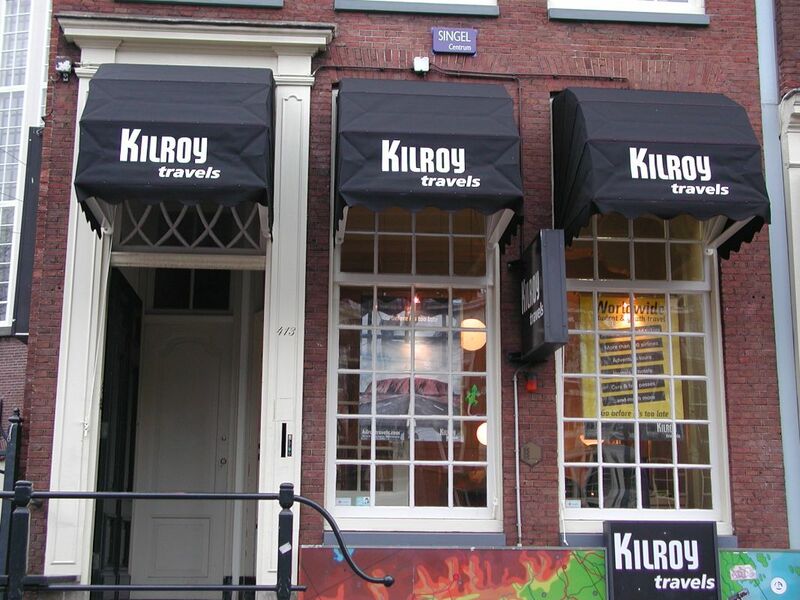 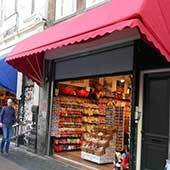 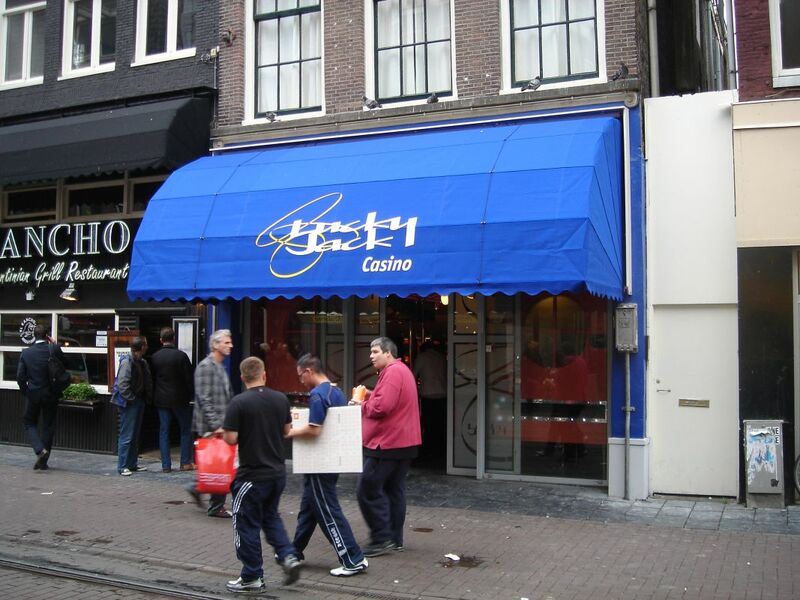 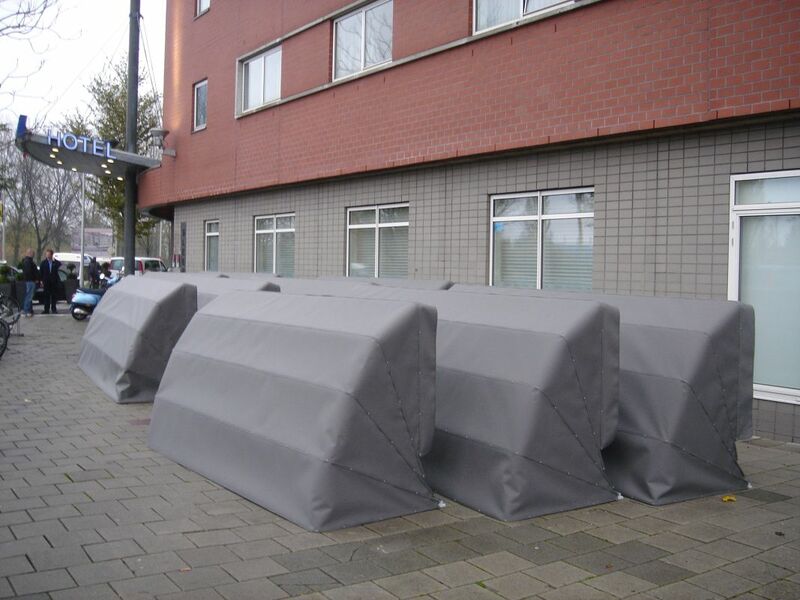 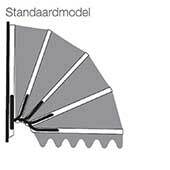 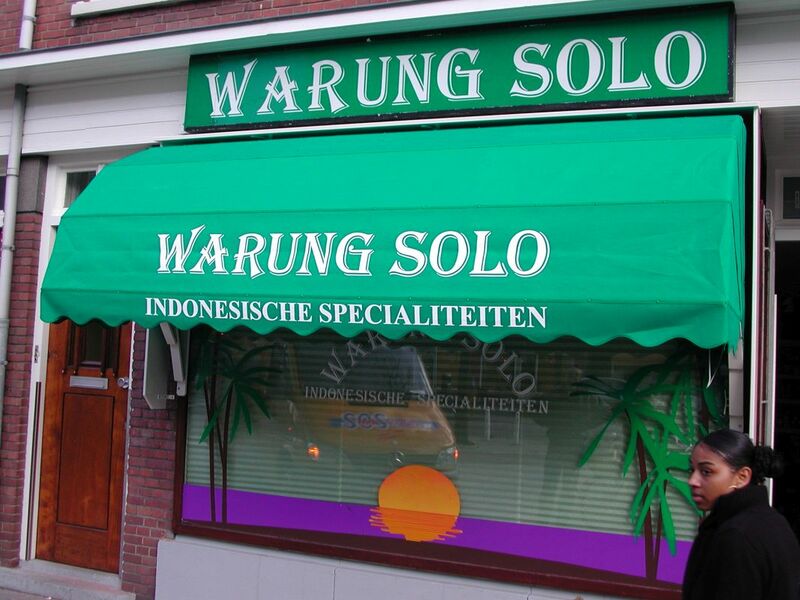 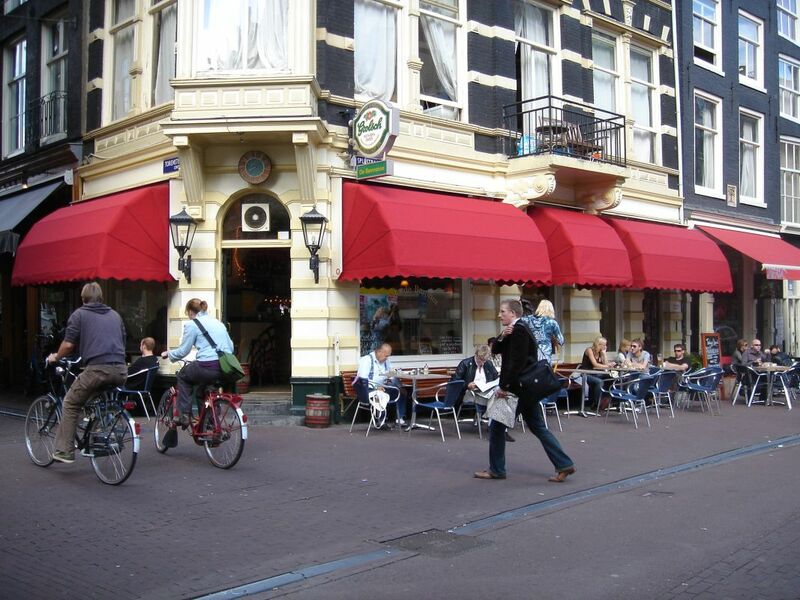 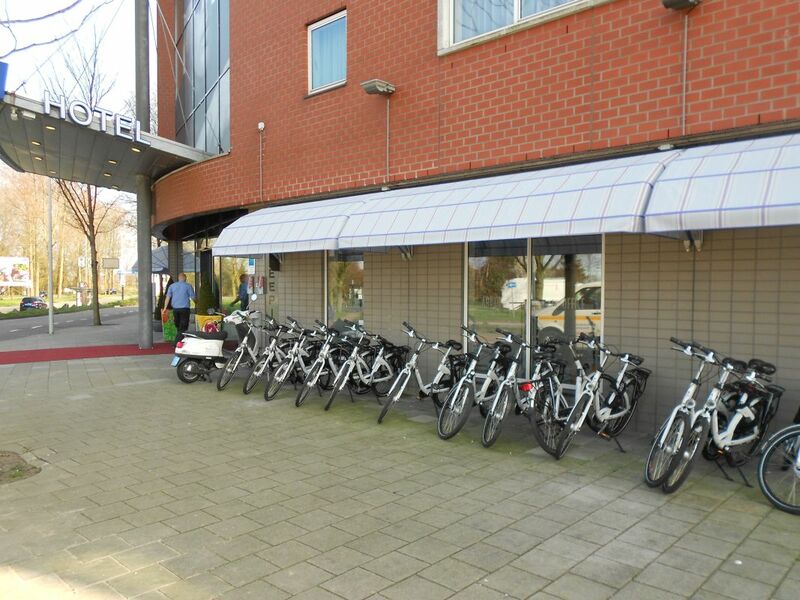 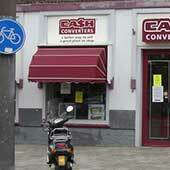 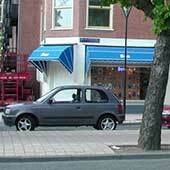 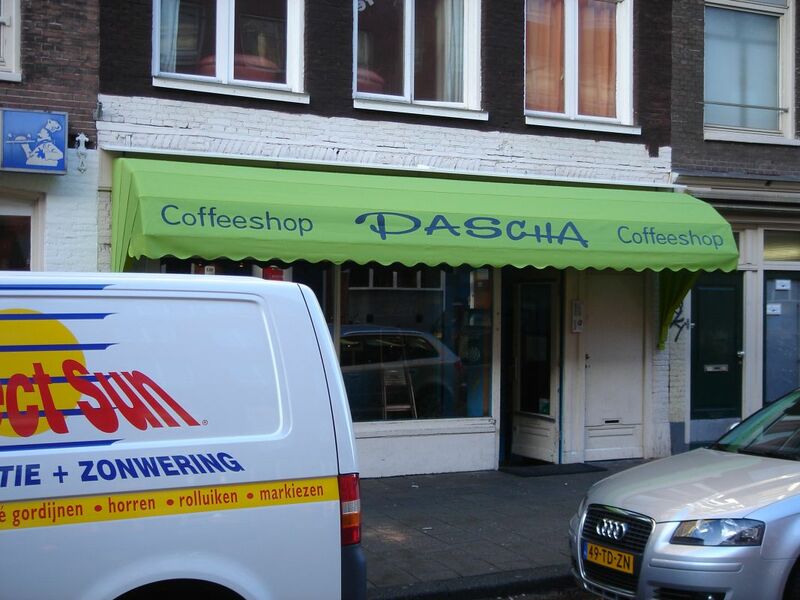 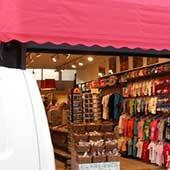 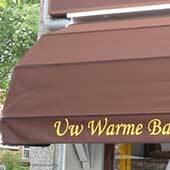 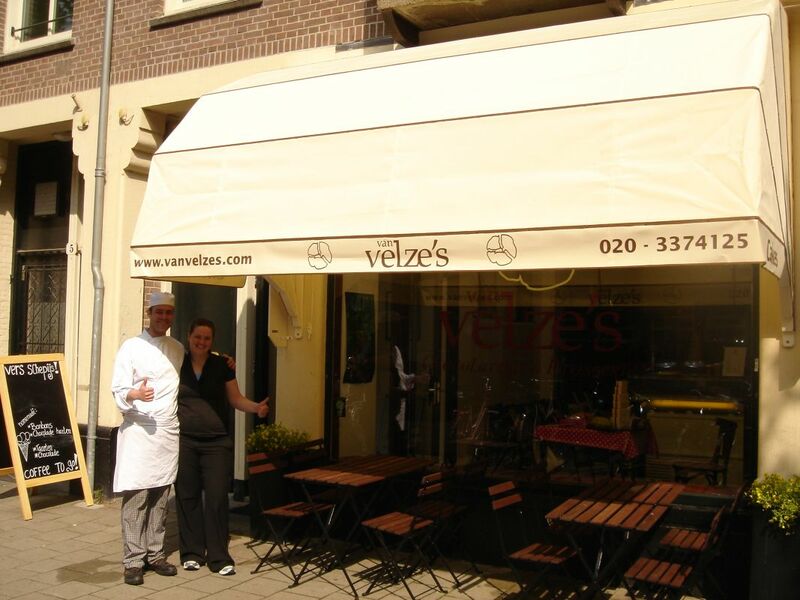 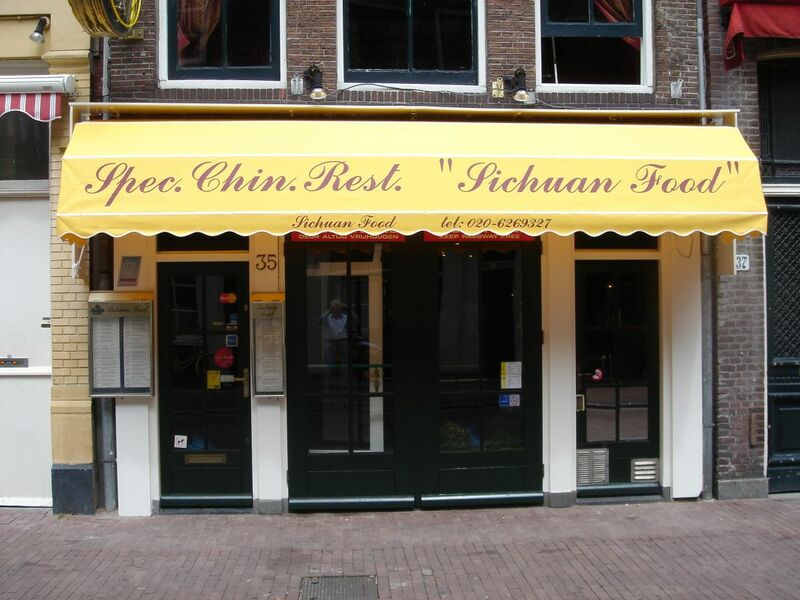 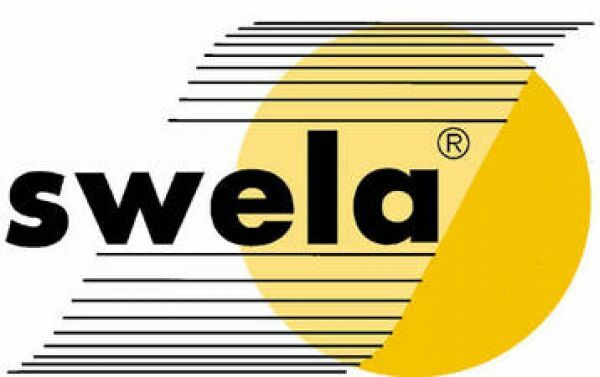 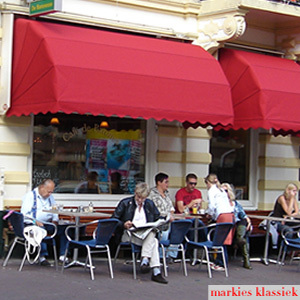 The Dutch canopy awning is the well-known classic under the outdoor sun protection. 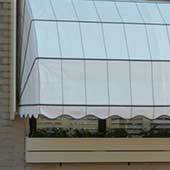 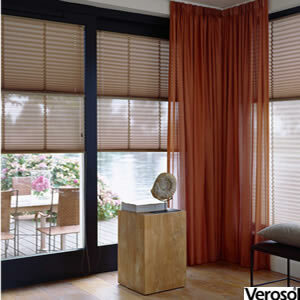 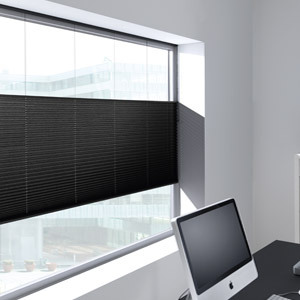 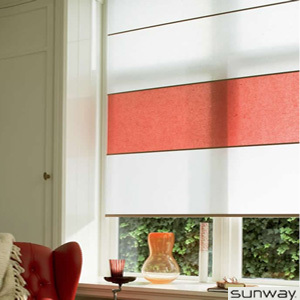 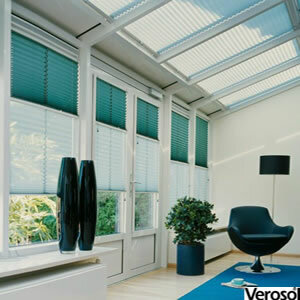 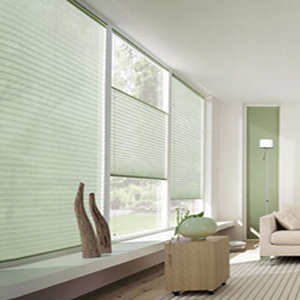 This special awning gives your home a positive appearance and is an excellent sunblind. 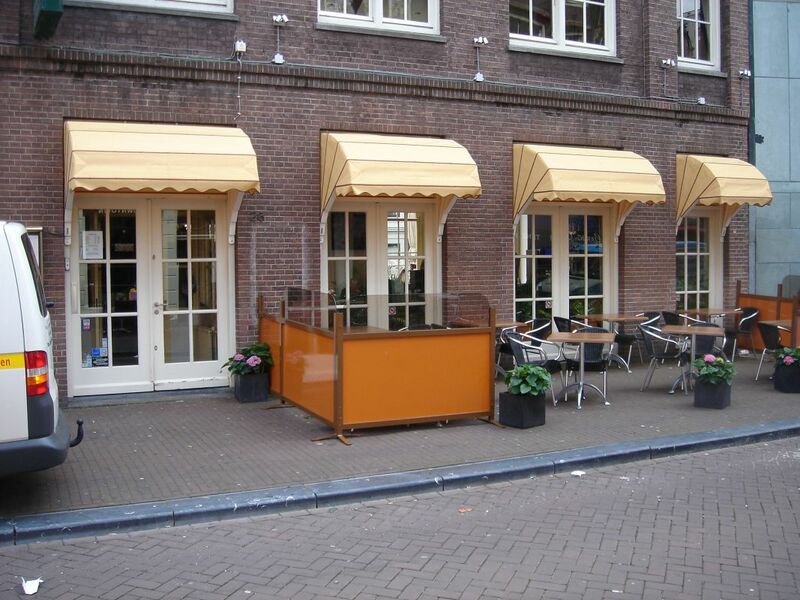 The Dutch canopy is closed on all sides, so the sun is also blocked from the side. 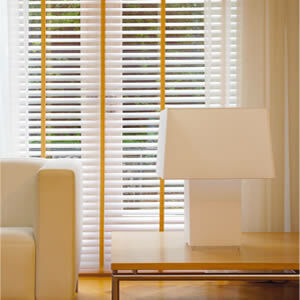 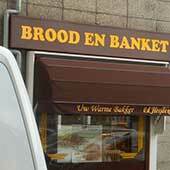 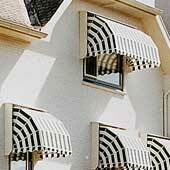 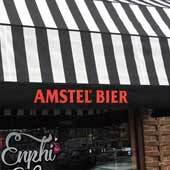 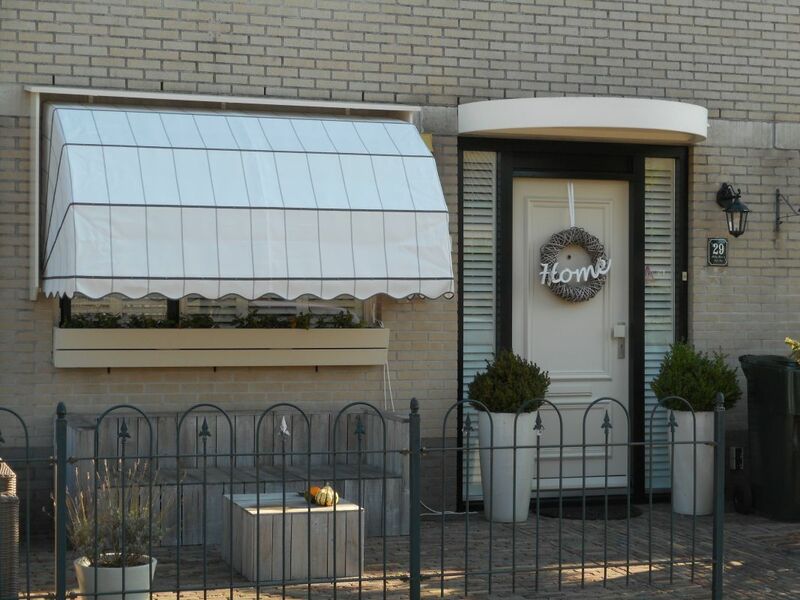 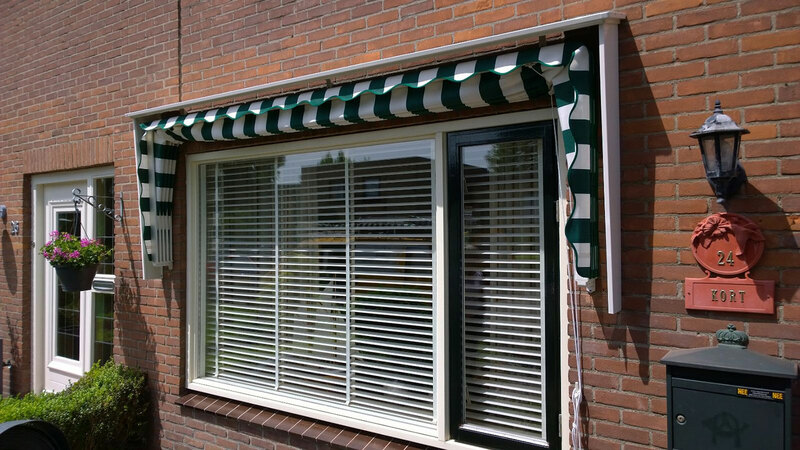 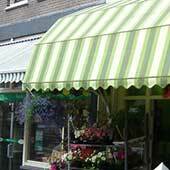 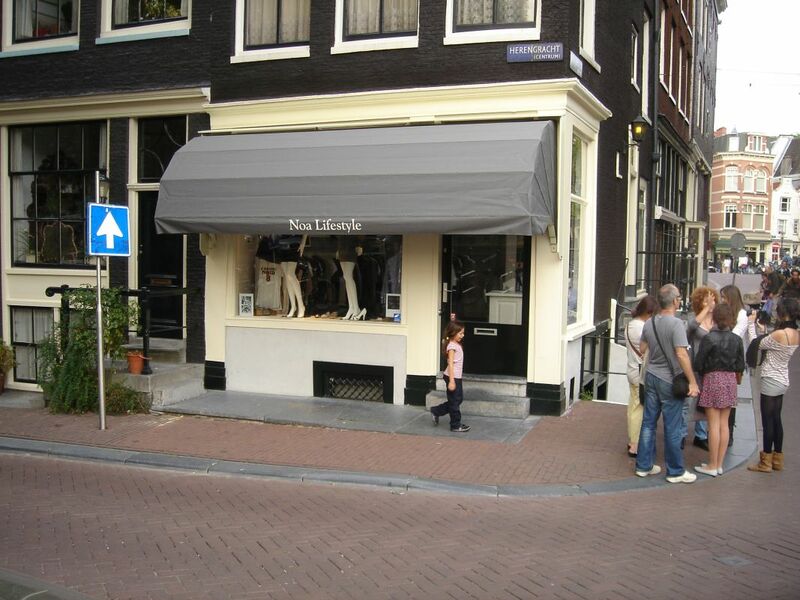 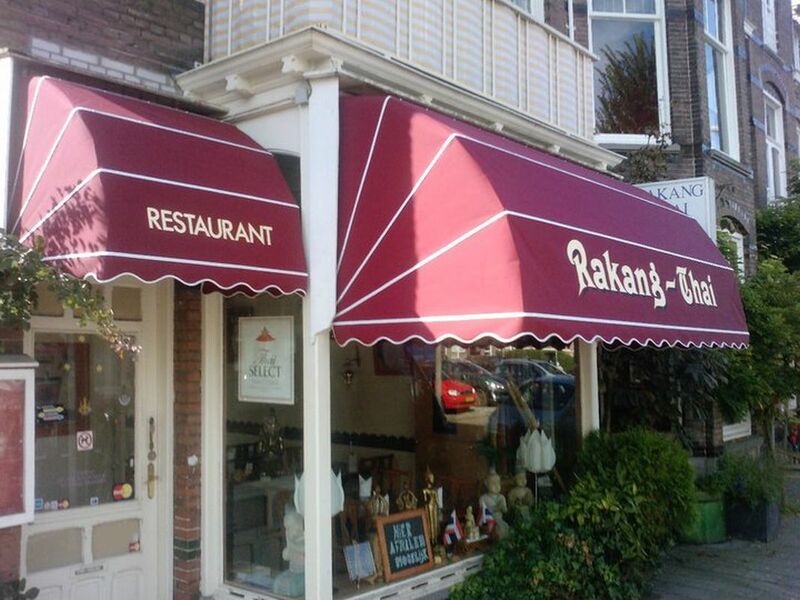 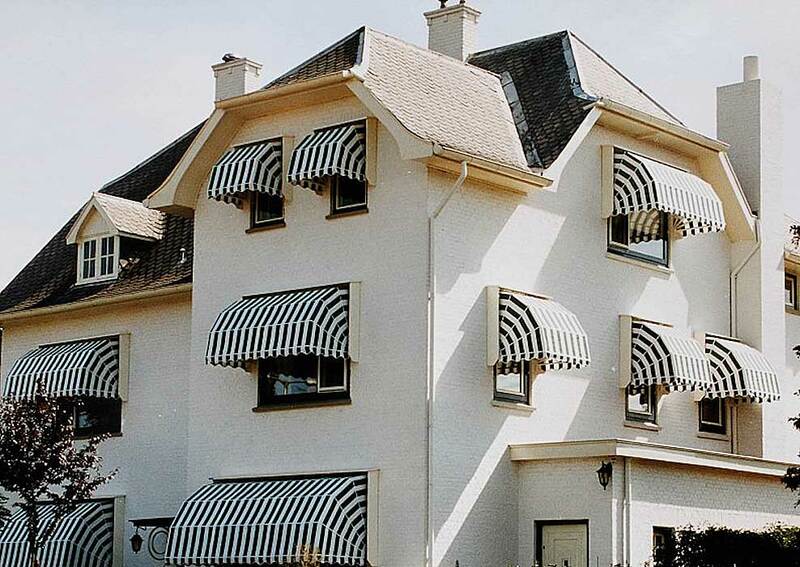 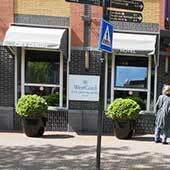 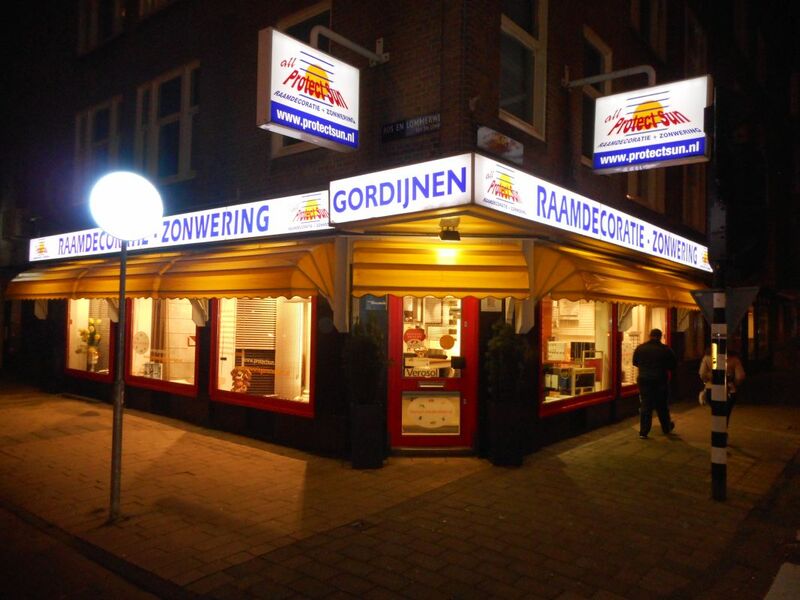 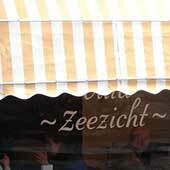 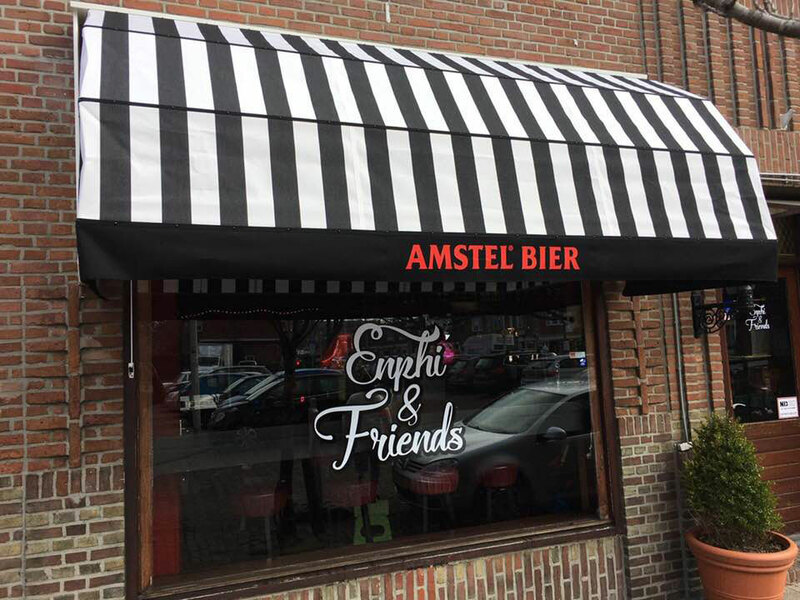 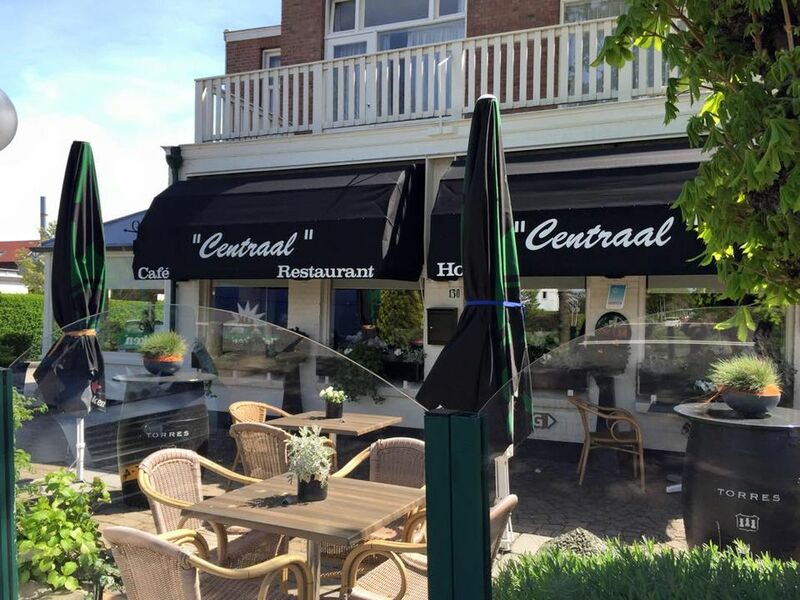 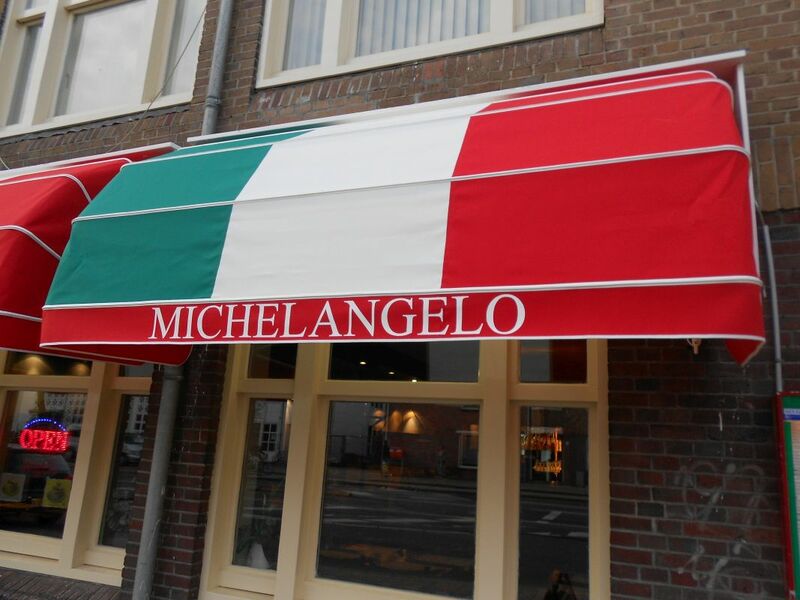 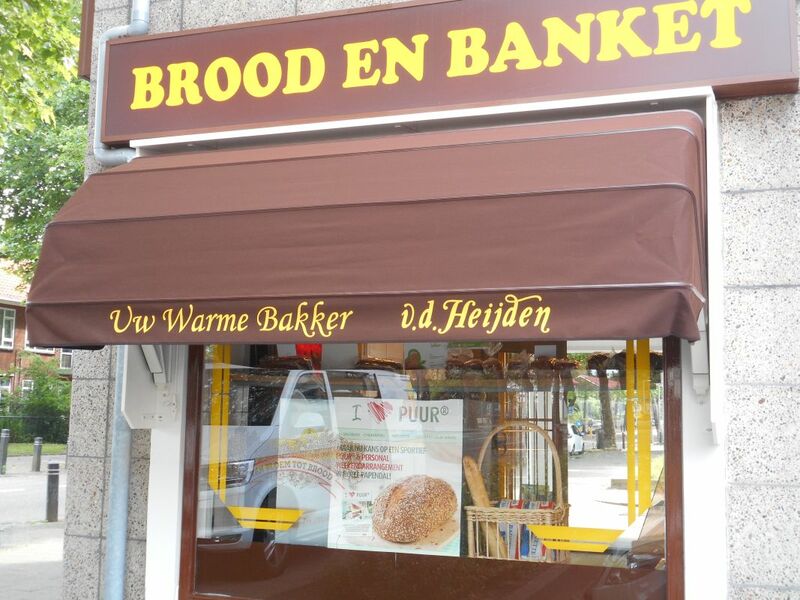 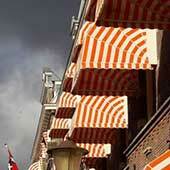 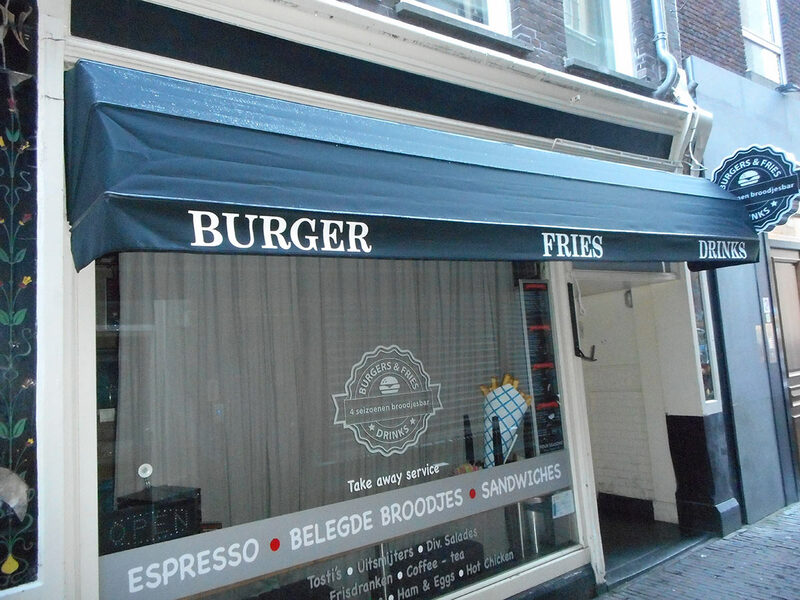 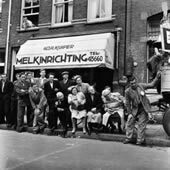 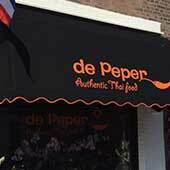 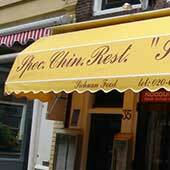 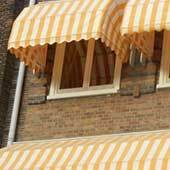 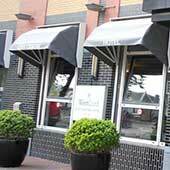 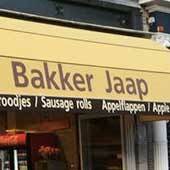 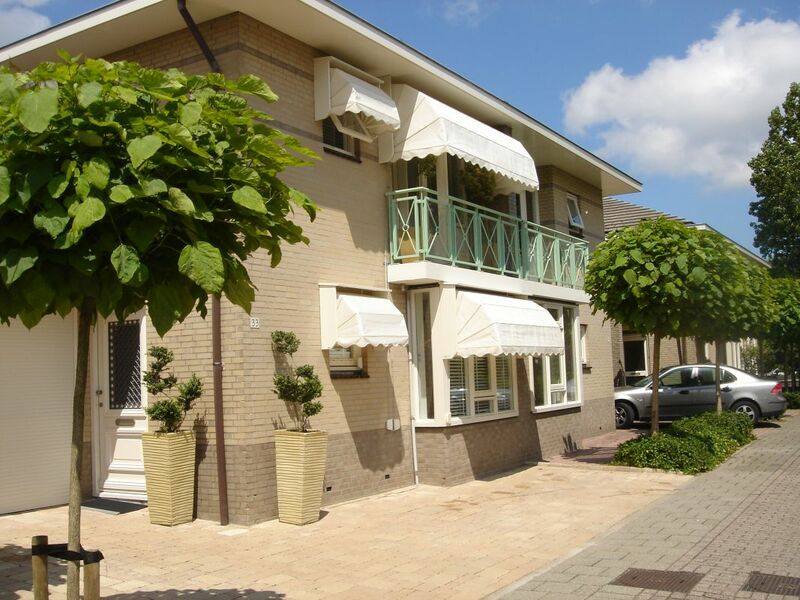 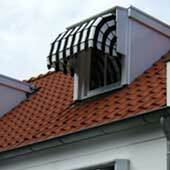 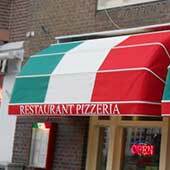 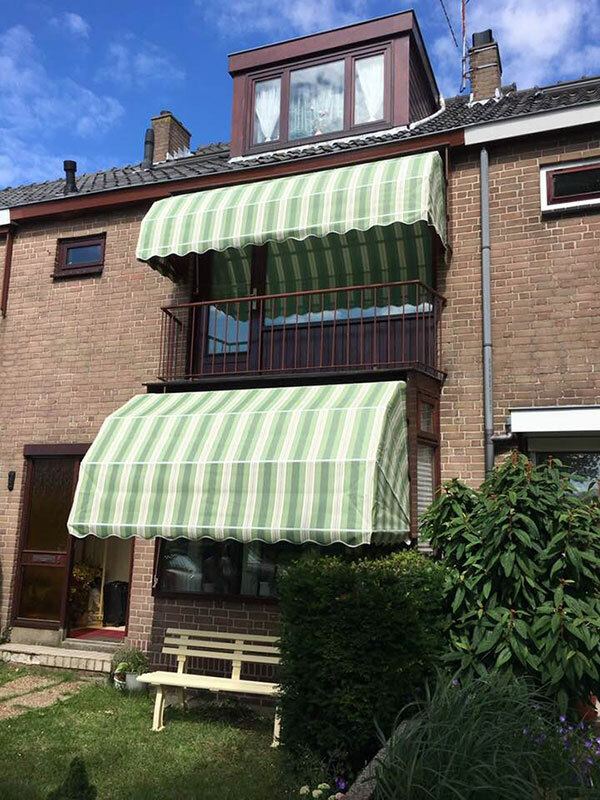 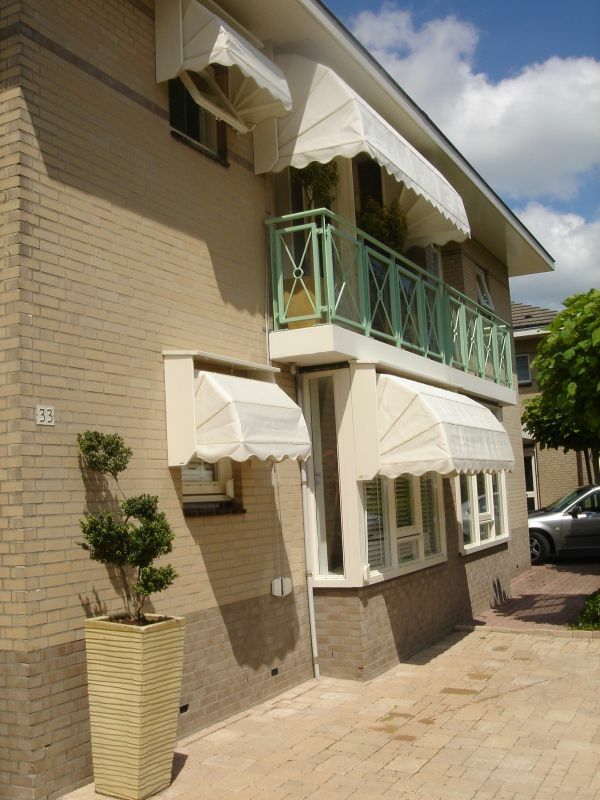 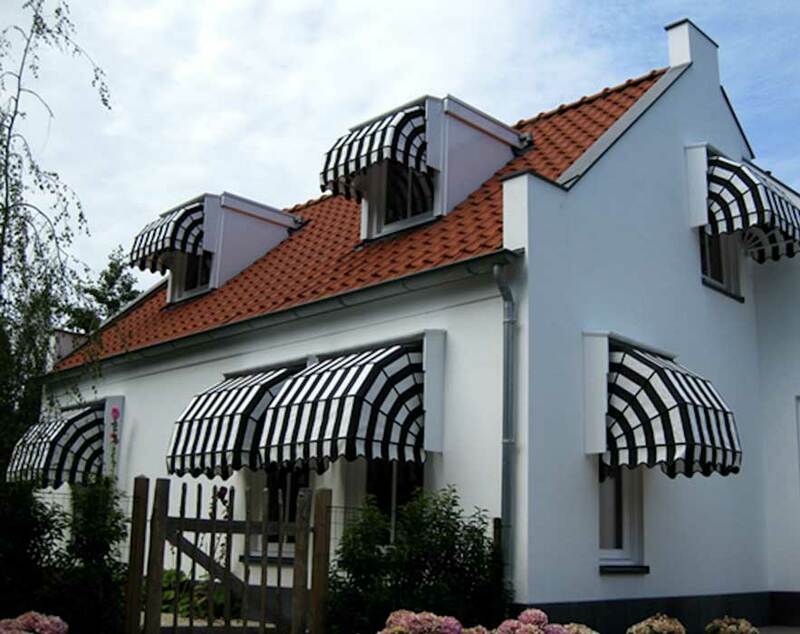 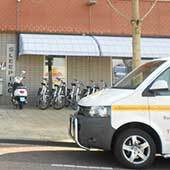 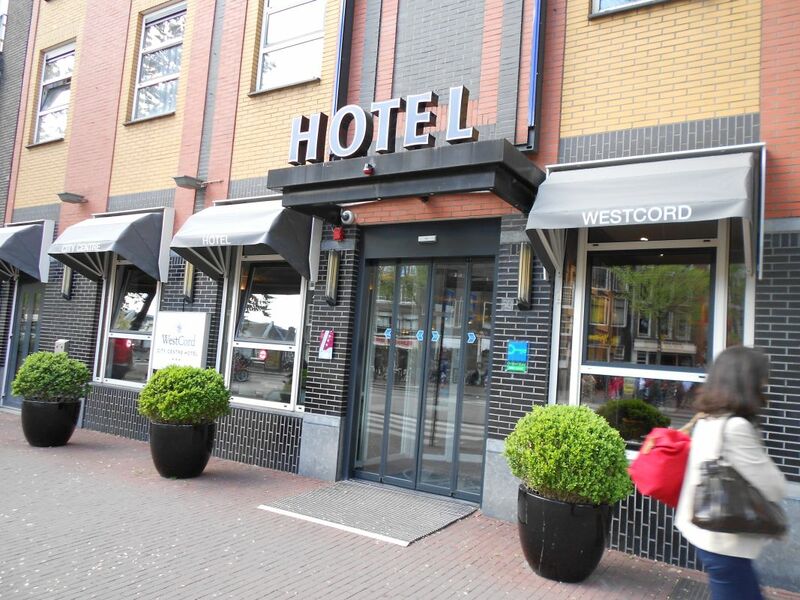 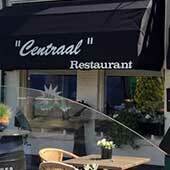 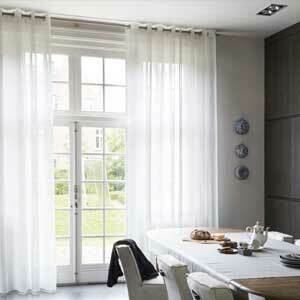 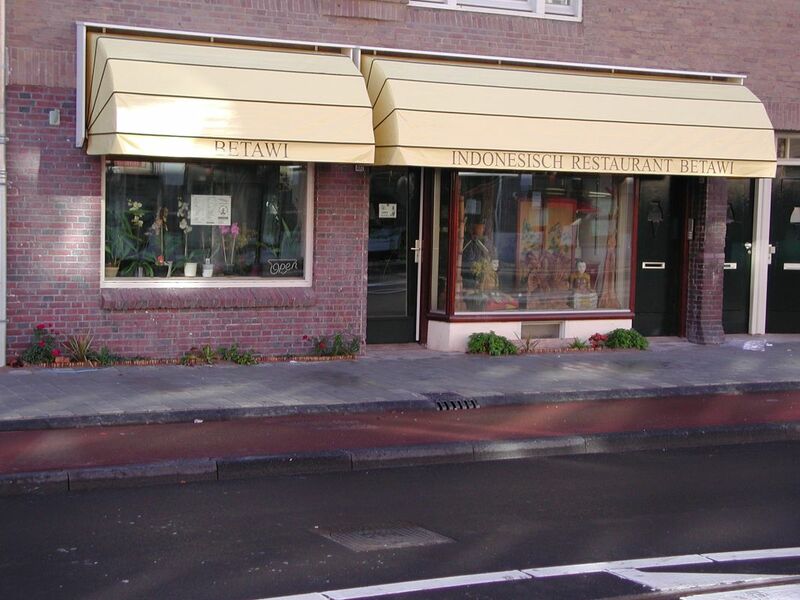 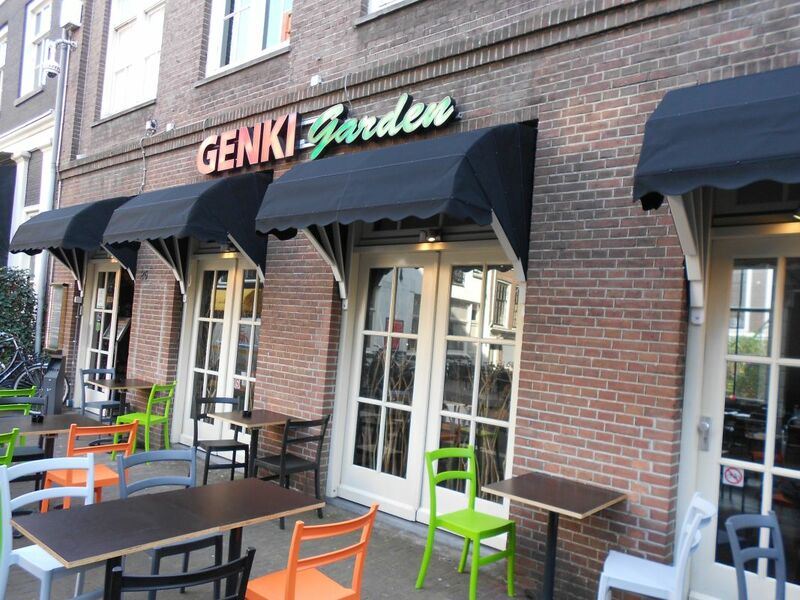 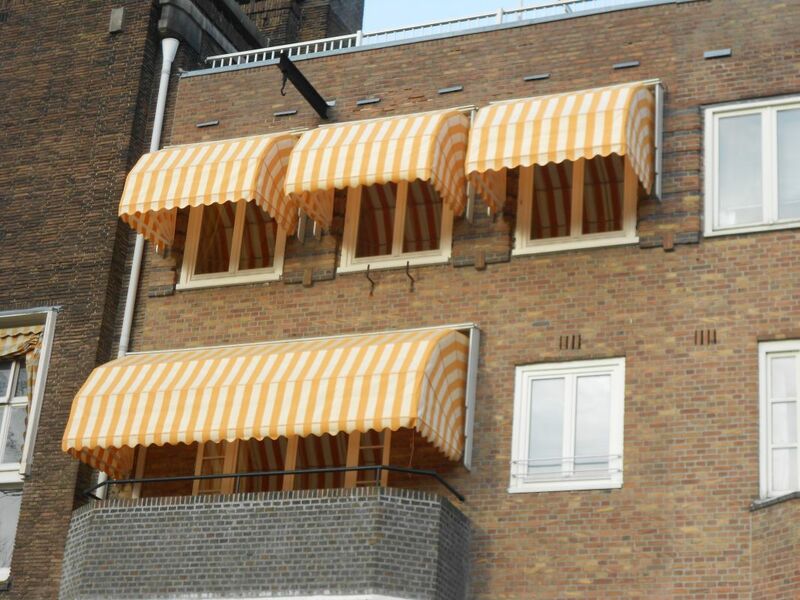 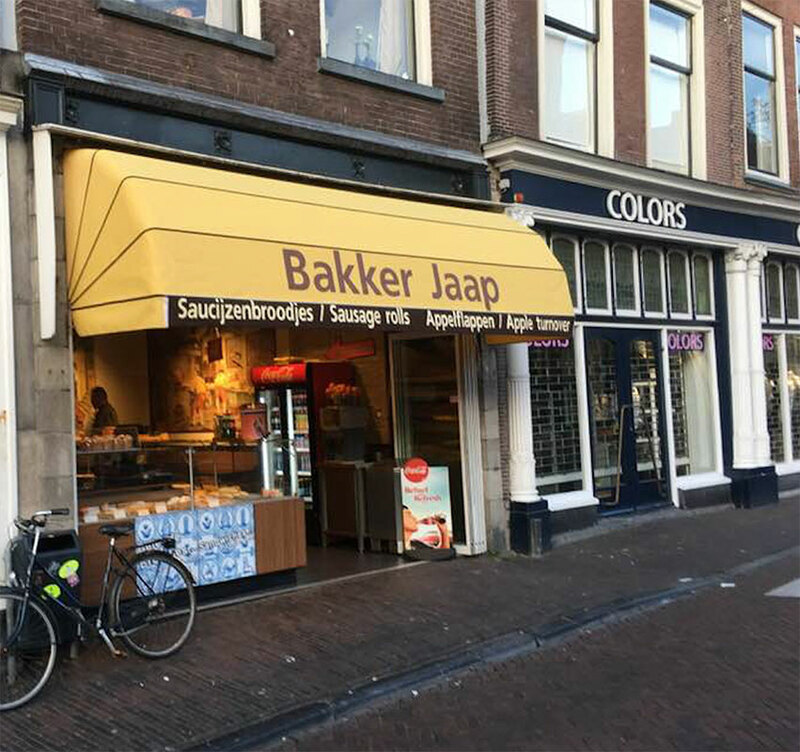 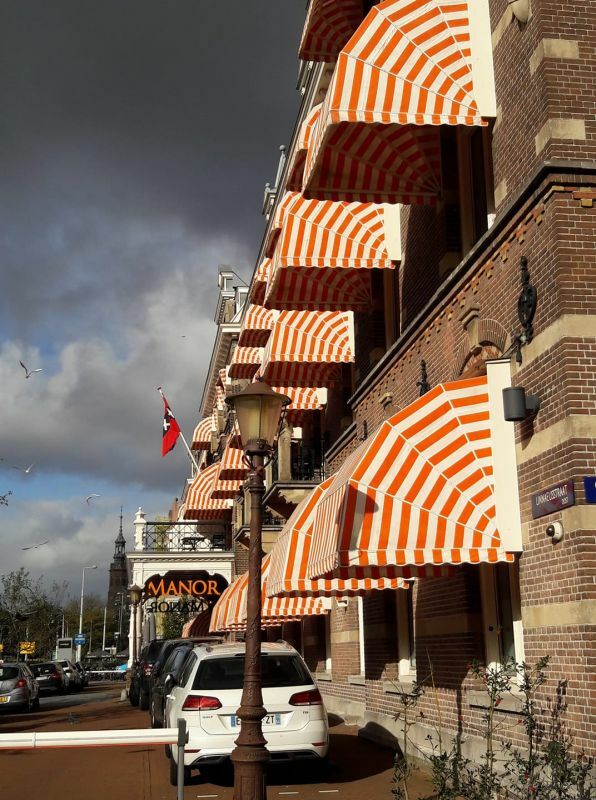 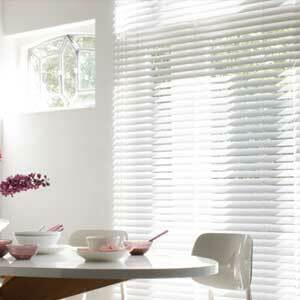 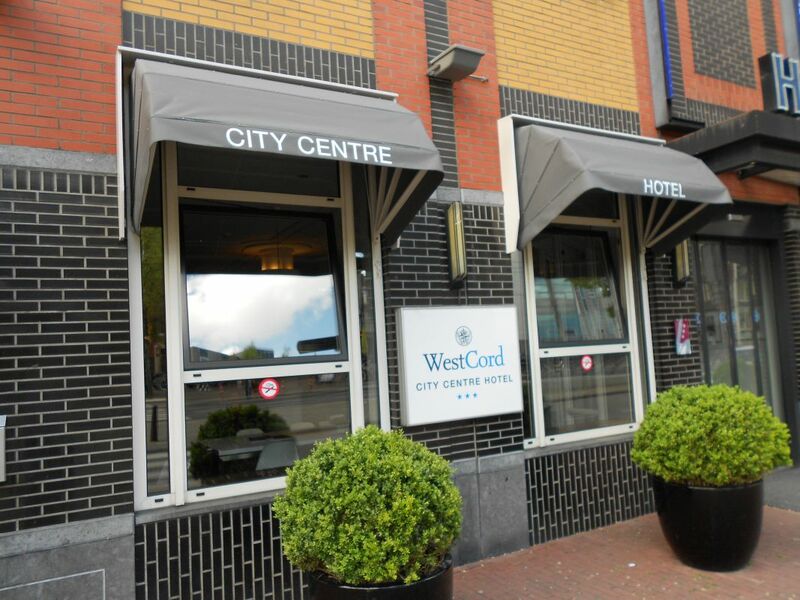 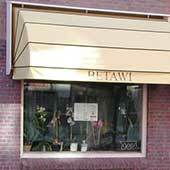 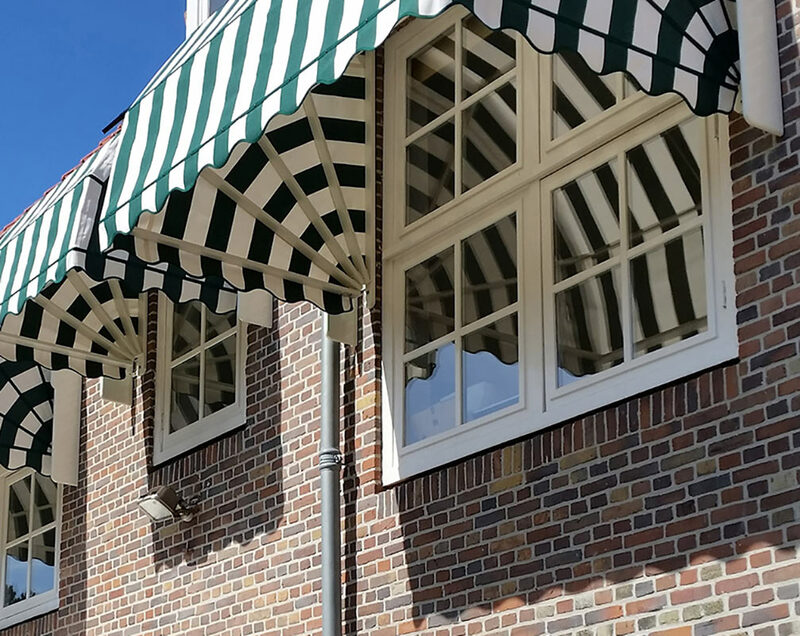 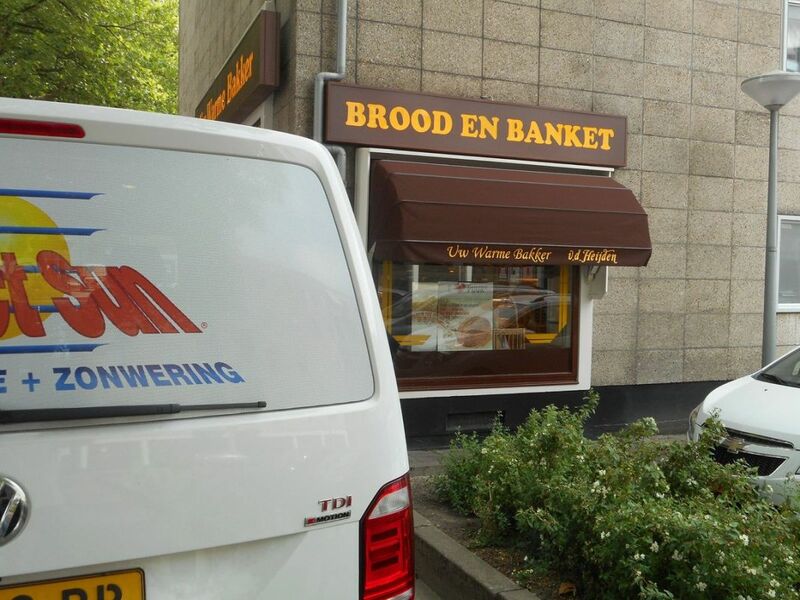 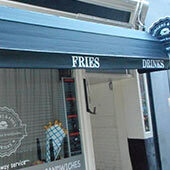 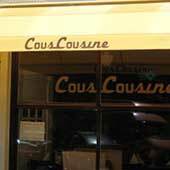 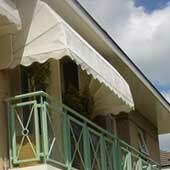 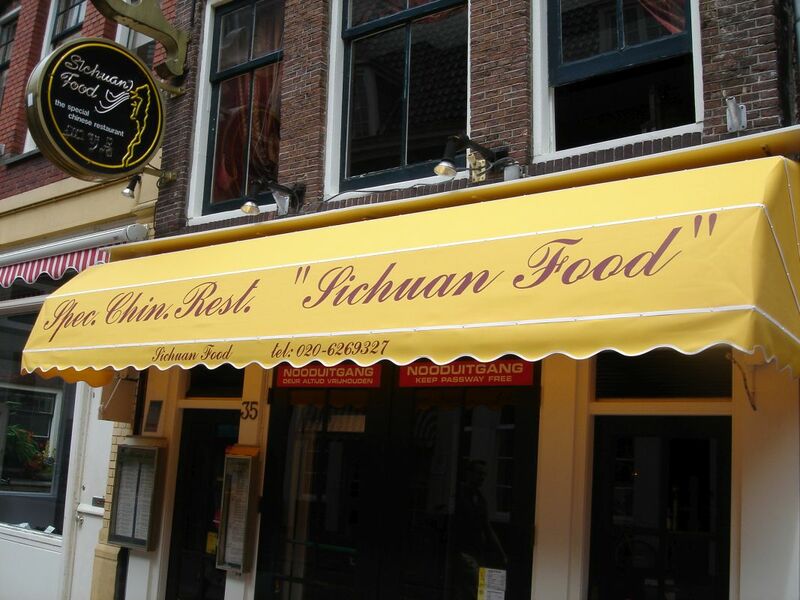 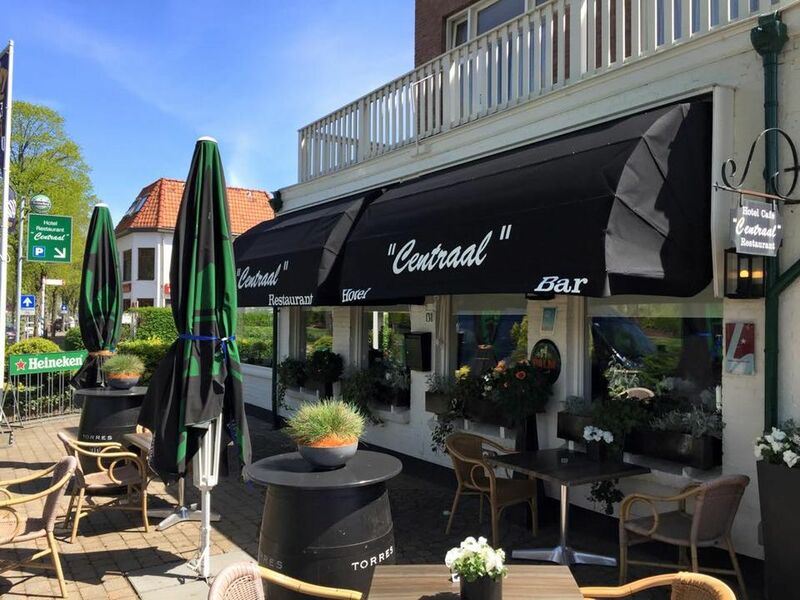 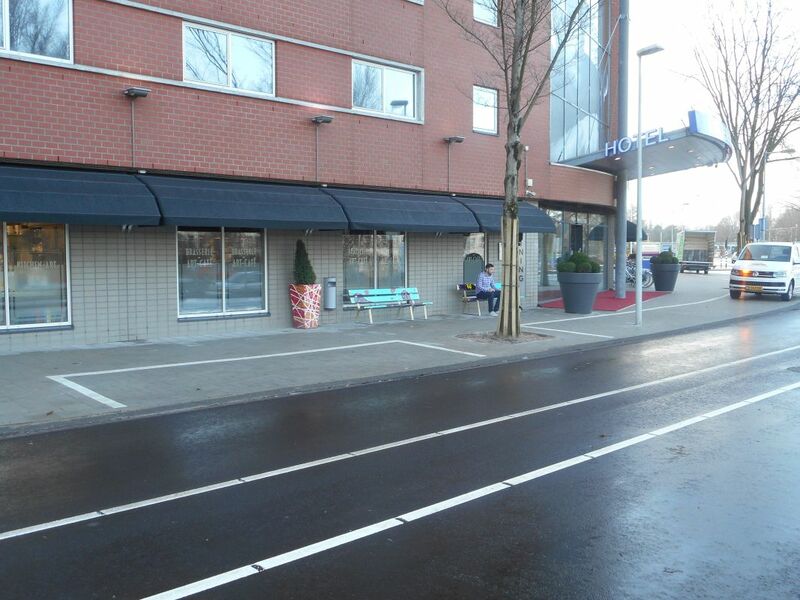 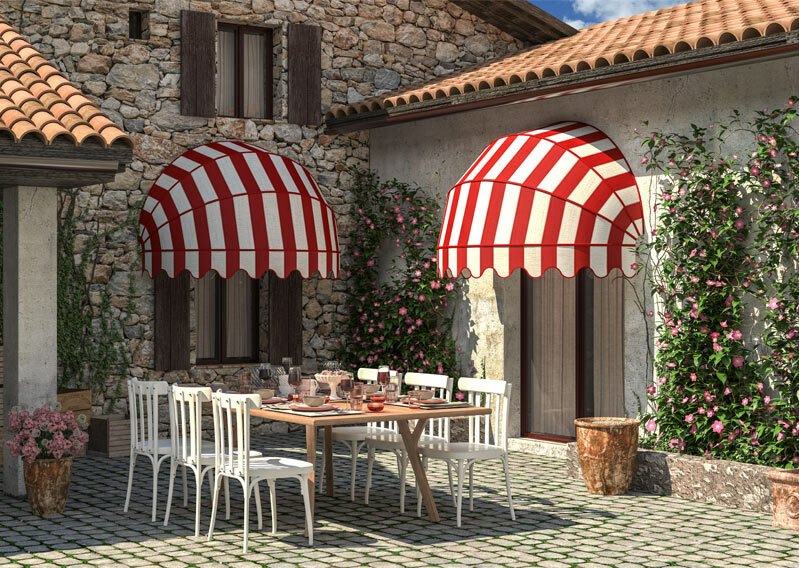 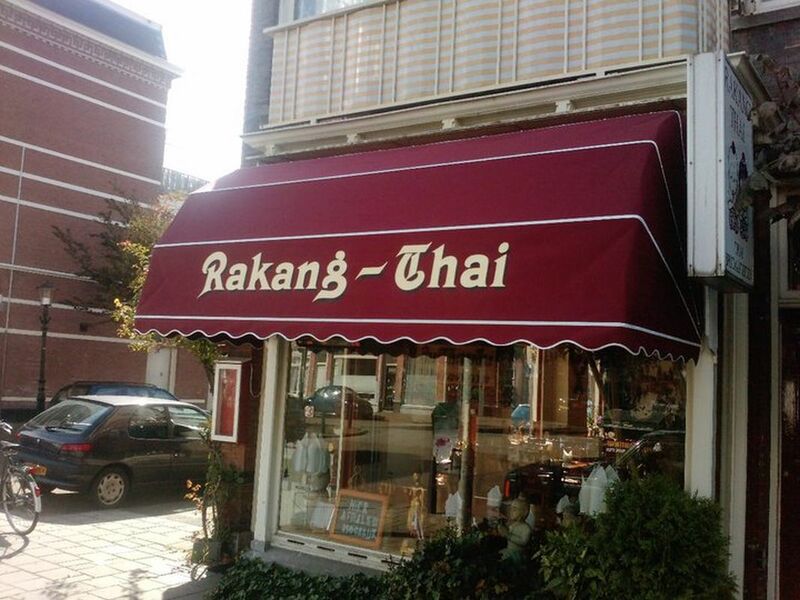 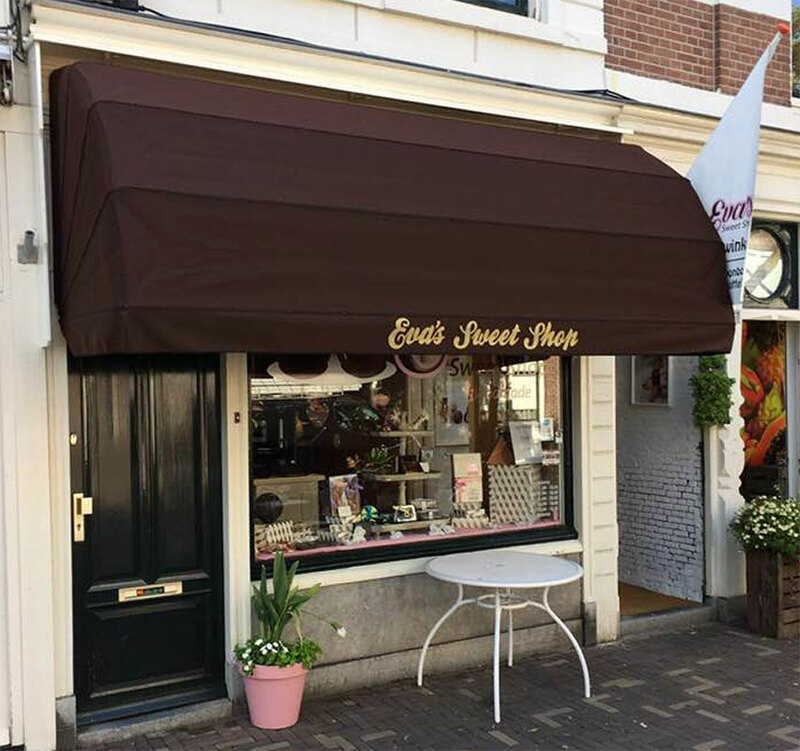 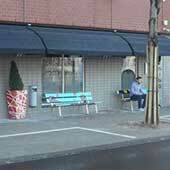 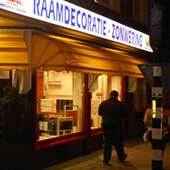 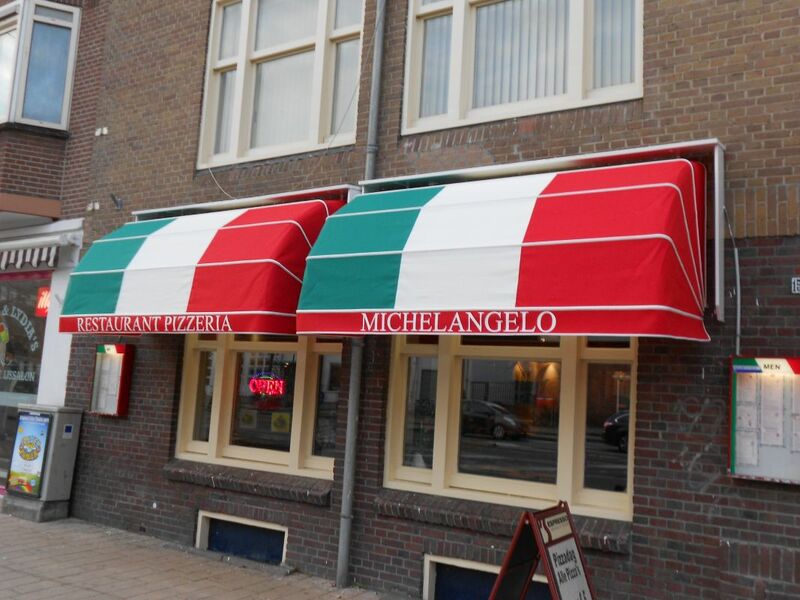 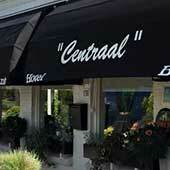 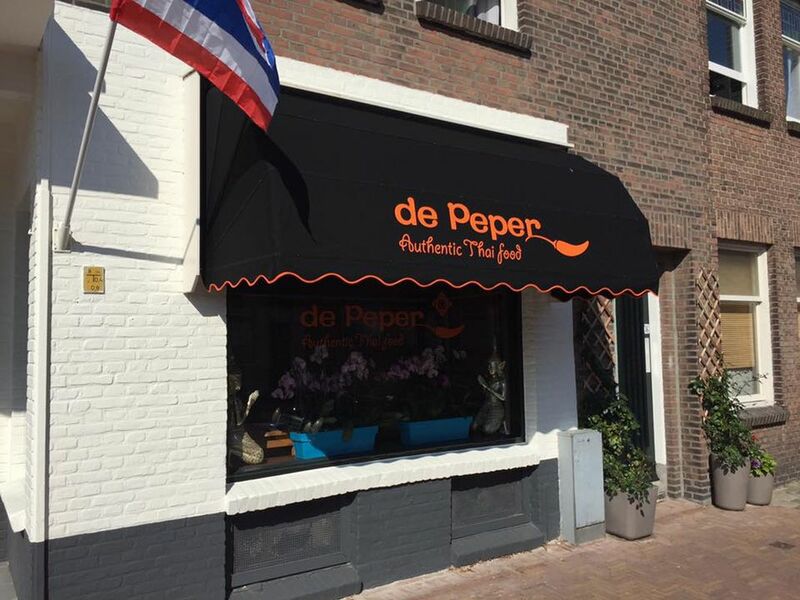 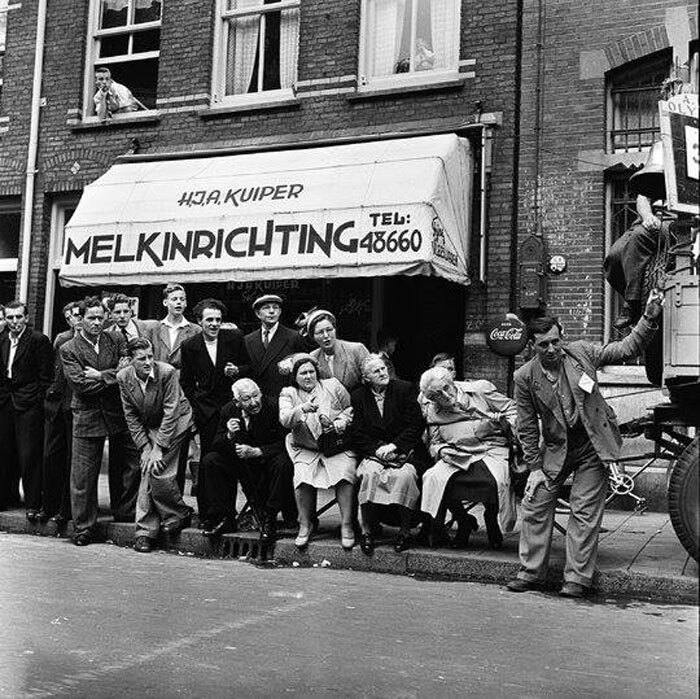 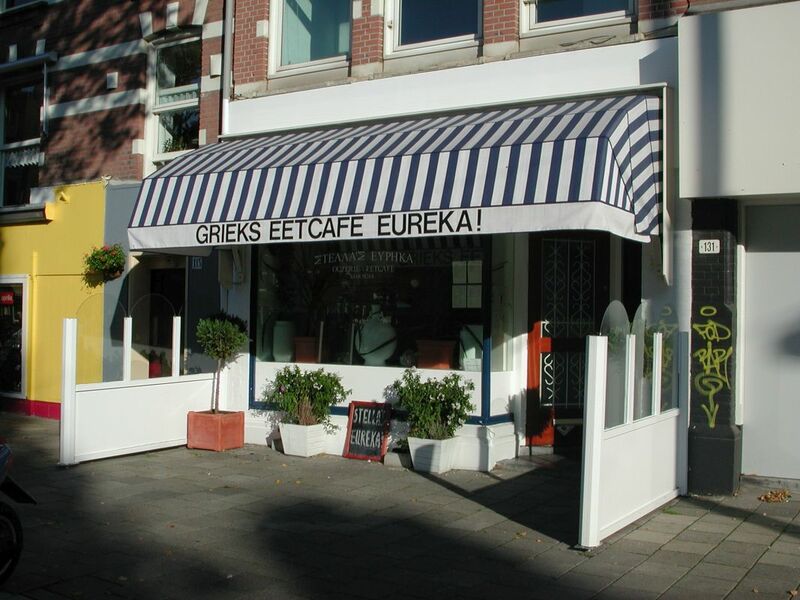 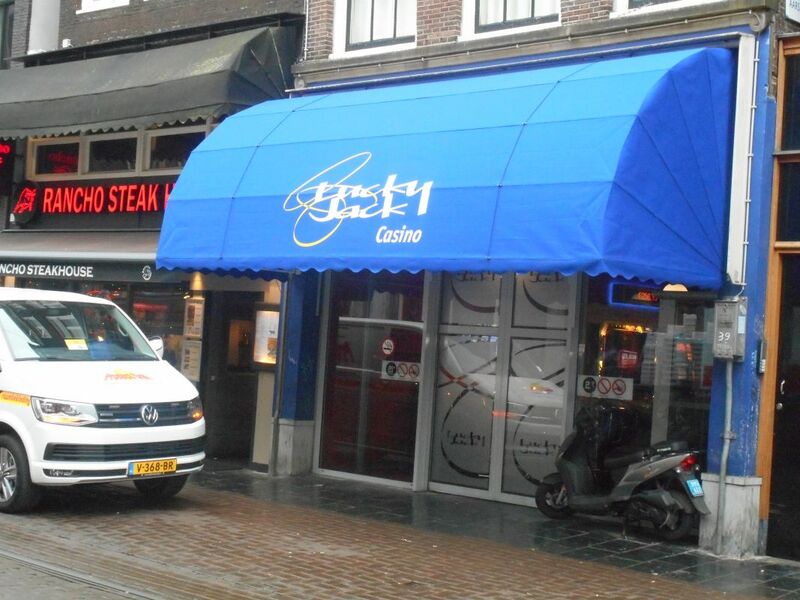 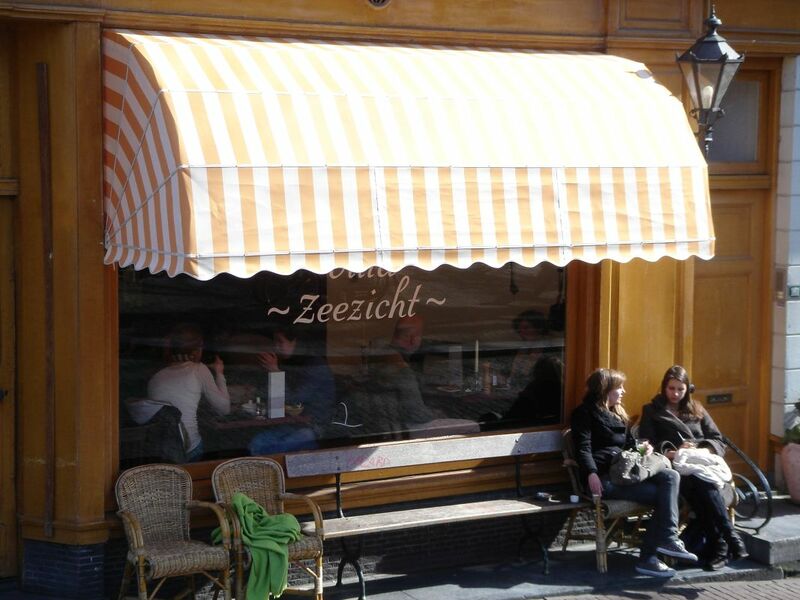 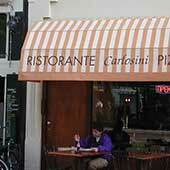 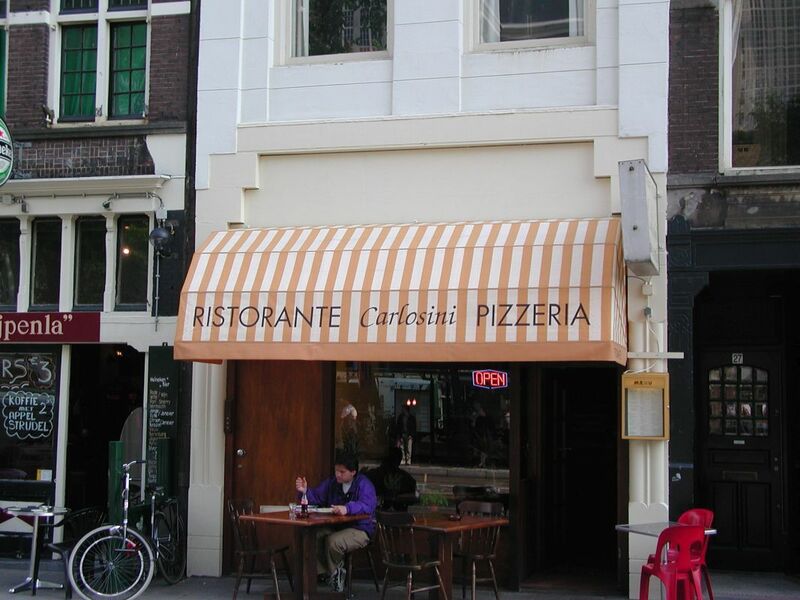 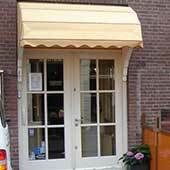 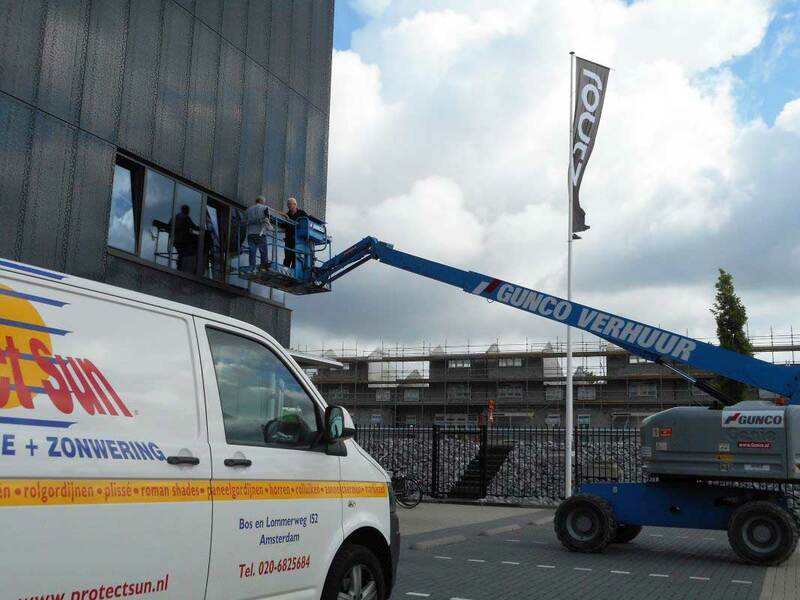 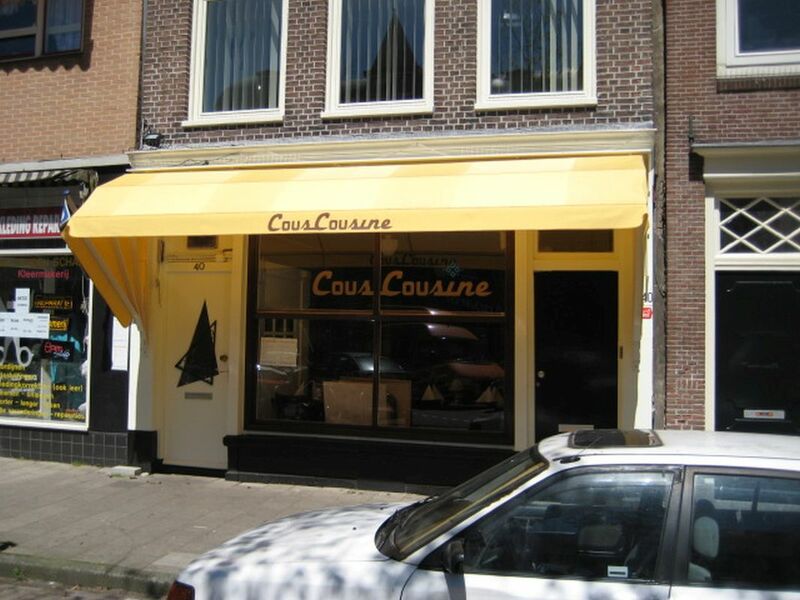 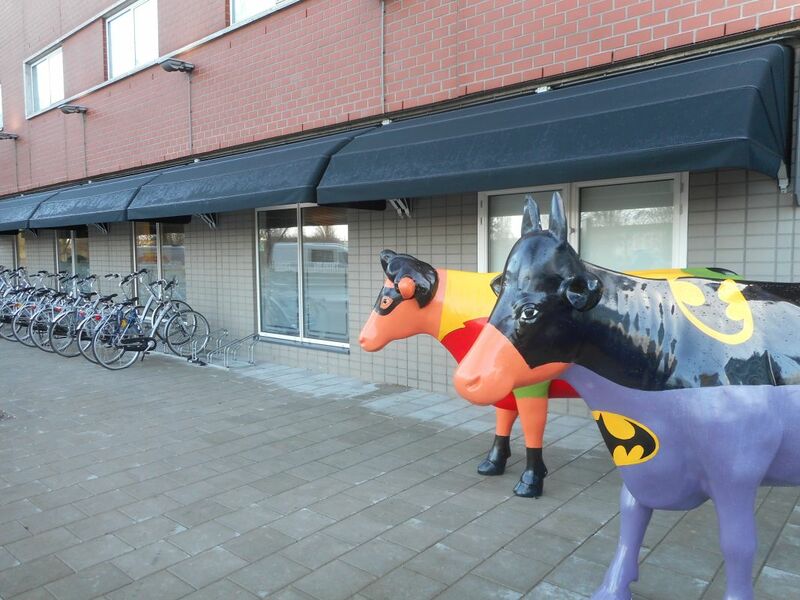 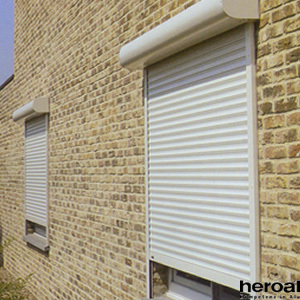 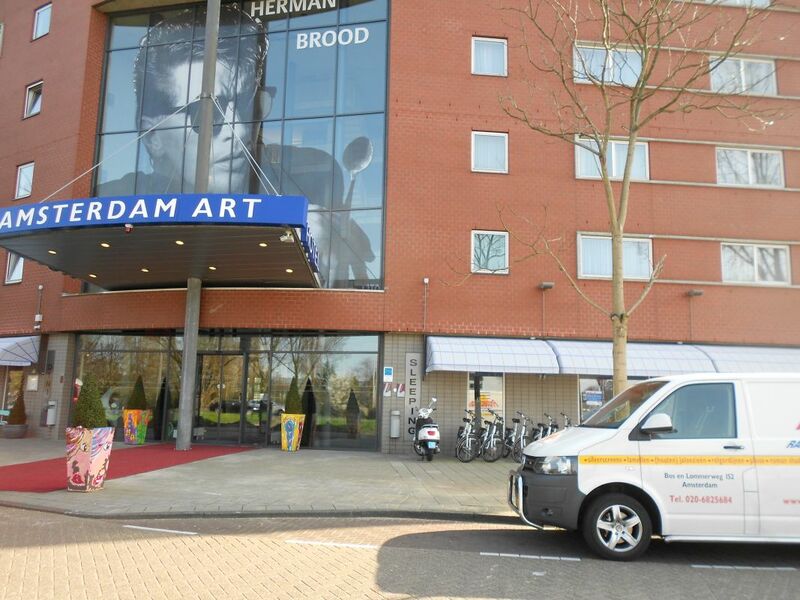 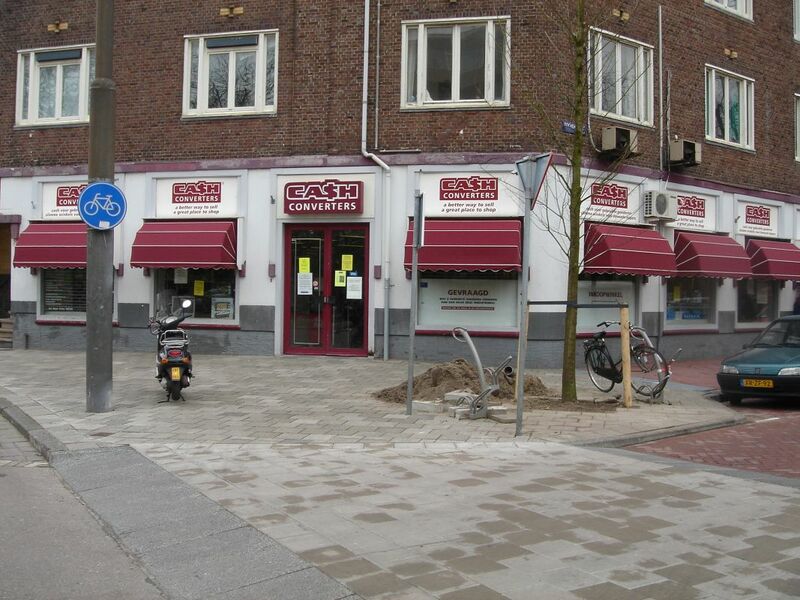 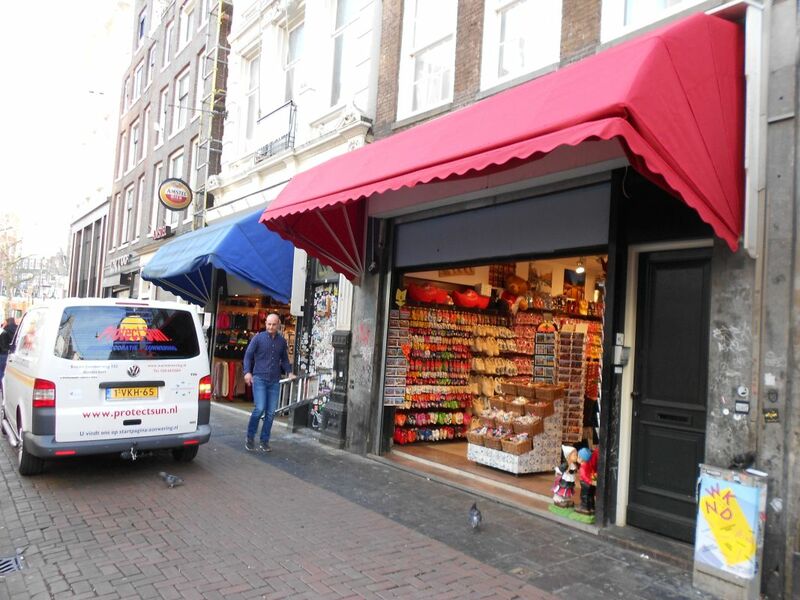 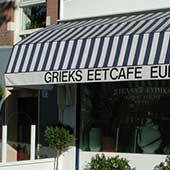 Thanks to the sophisticated construction Dutch awnings are well resistant to the wind. 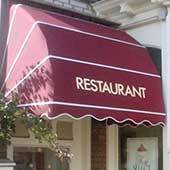 For shops and restaurants, a marquis is the striking eye-catcher. 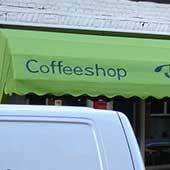 By placing your company name or logo on the canopy, you can see who you are and what kind of business you are from along distance. 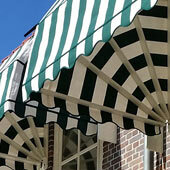 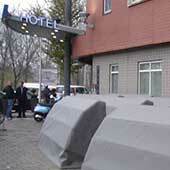 You can see beautiful examples of the canopies in the photos below. 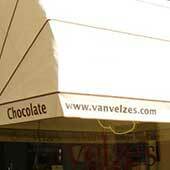 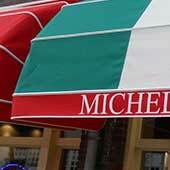 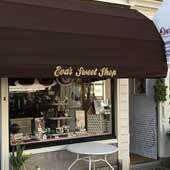 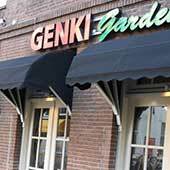 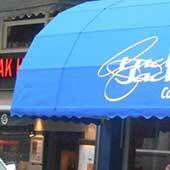 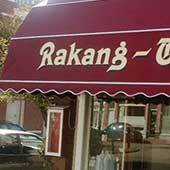 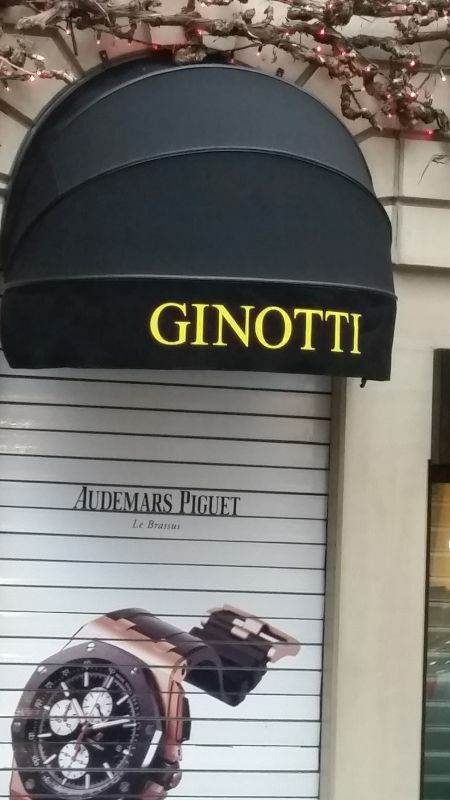 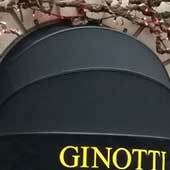 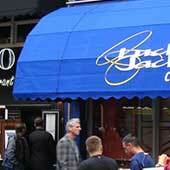 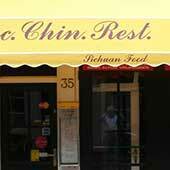 The frame and canopy of our awnings are available in wood and aluminum in various colors. 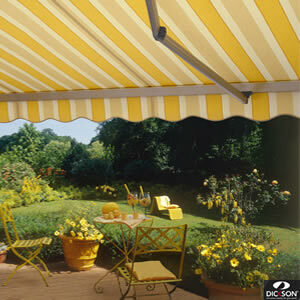 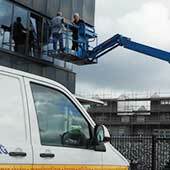 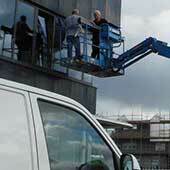 The operation of a marquee is manual by means of a drawstring or electric with a Somfy motor. 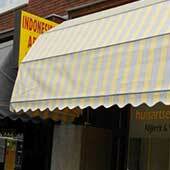 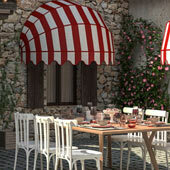 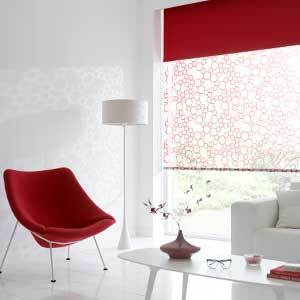 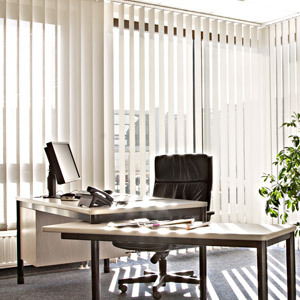 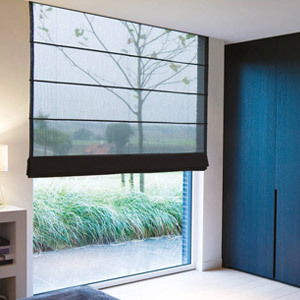 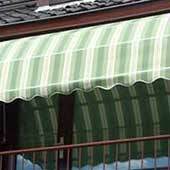 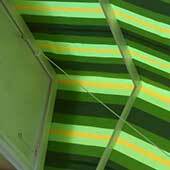 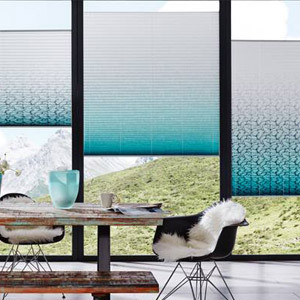 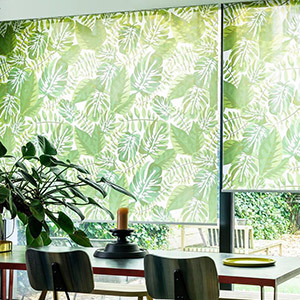 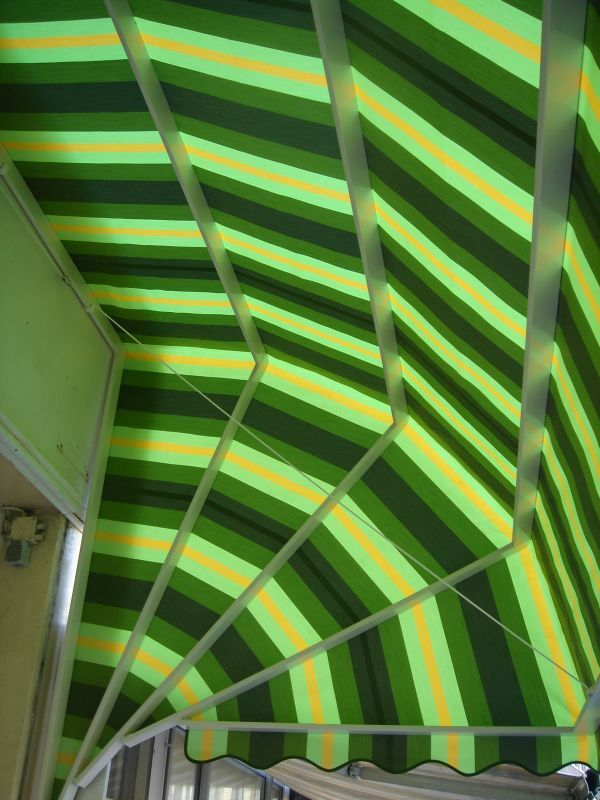 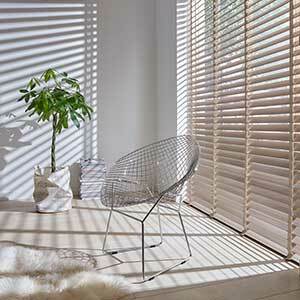 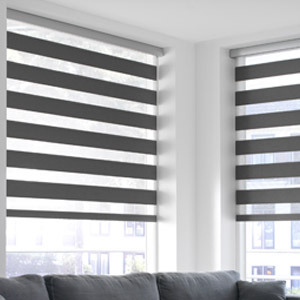 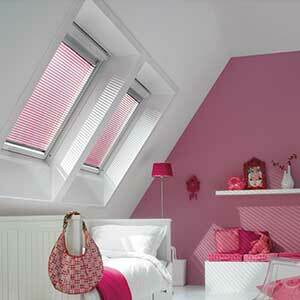 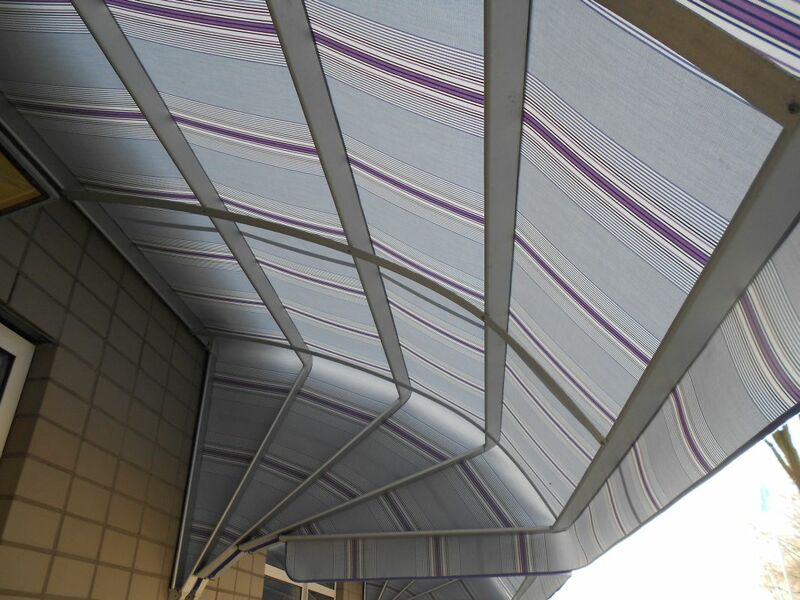 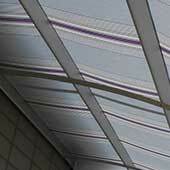 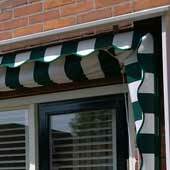 Our awning special fabric collection is large: uni's, block stripes, fantasy stripes, flowers, patterns. 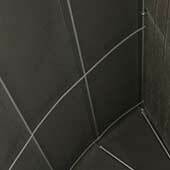 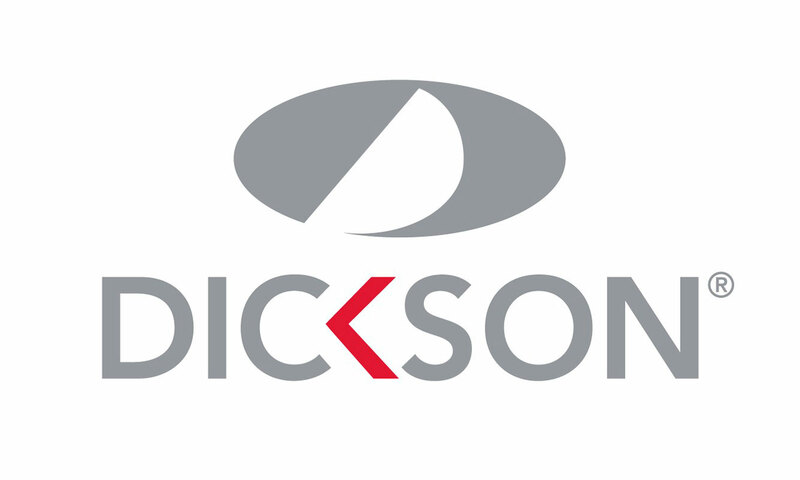 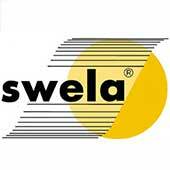 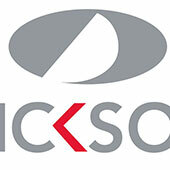 Our brands are Dickson Constant, Sunvas, Swela, Verano, Marquis Classic, Somfy and Merq. 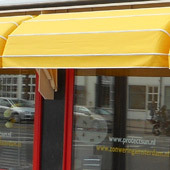 At the facade of Protectsun in Amsterdam www.protectsun.nl ans also in the showroom inside, you can look and test Dutch awnings in full size.